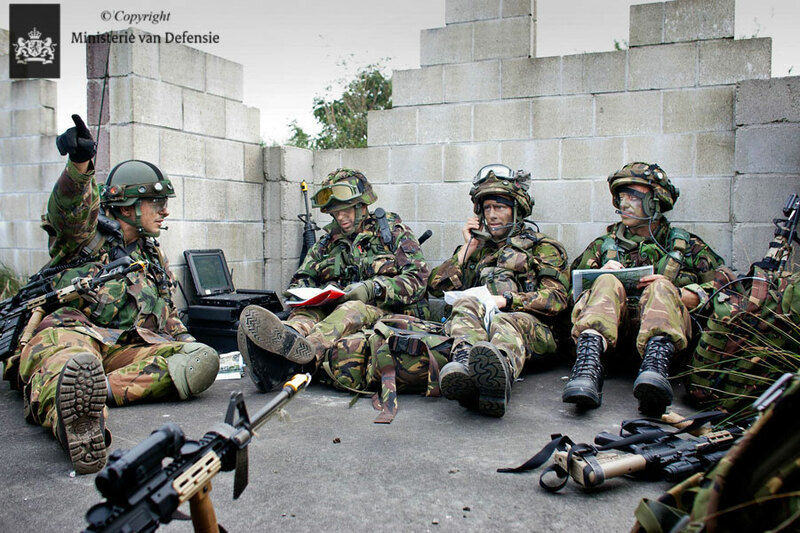 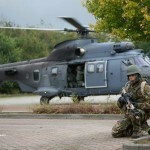 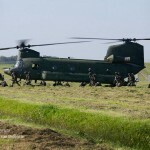 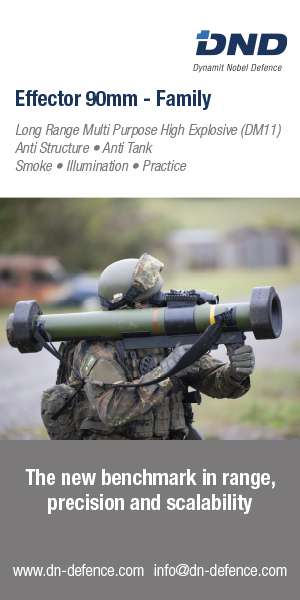 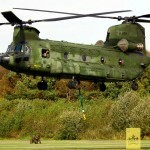 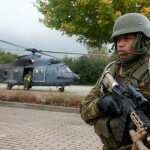 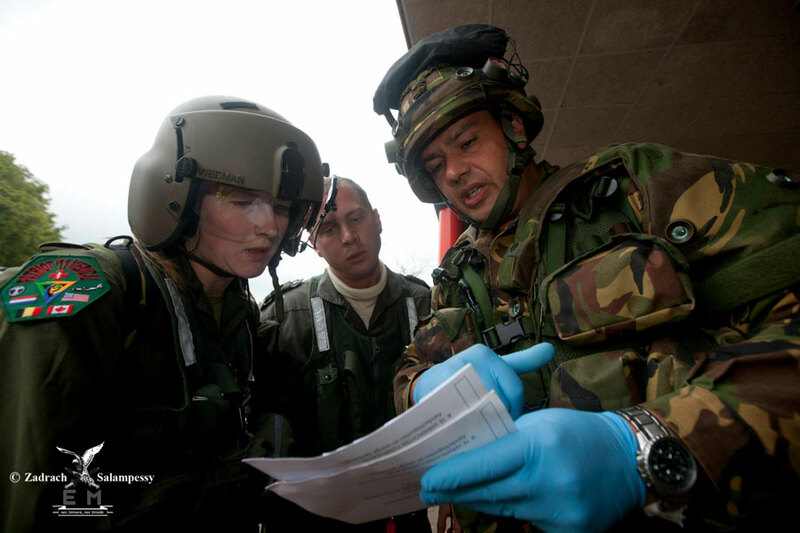 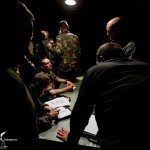 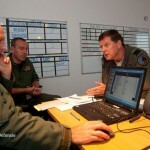 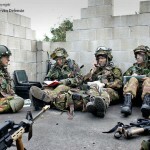 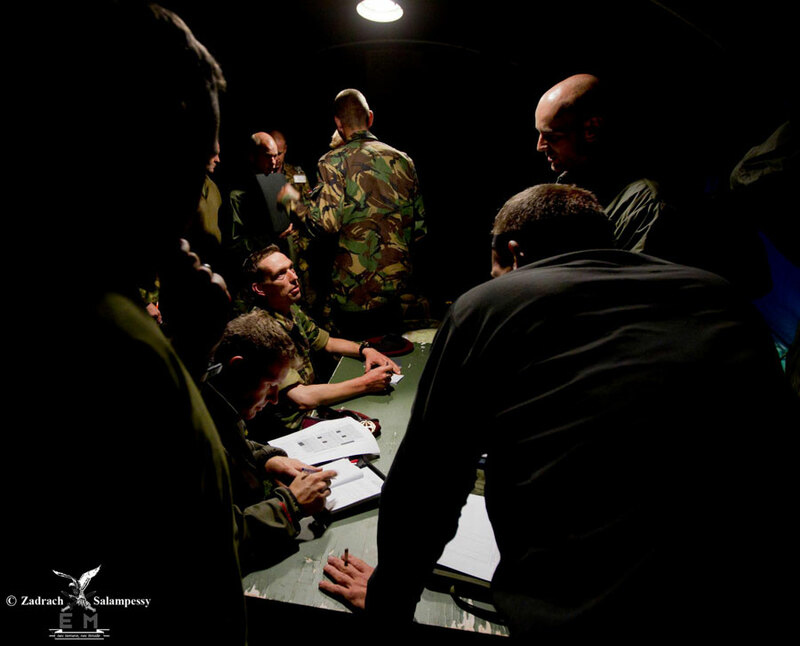 The 11 Air Manoeuvre Brigade (11 AMB) conducted exercise Falcon Autumn 2011 (FA11) as a precursor to its next combat readiness evaluation (CREVAL) which is to take place late 2012. 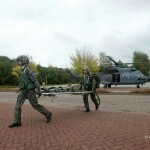 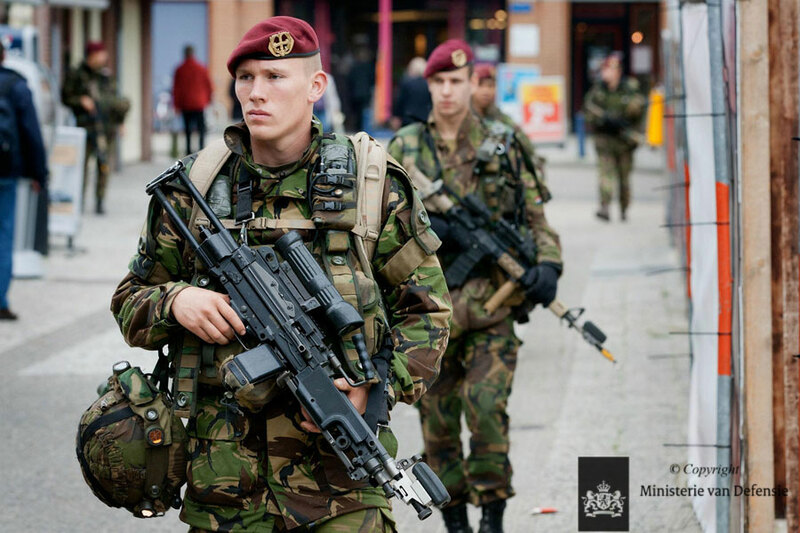 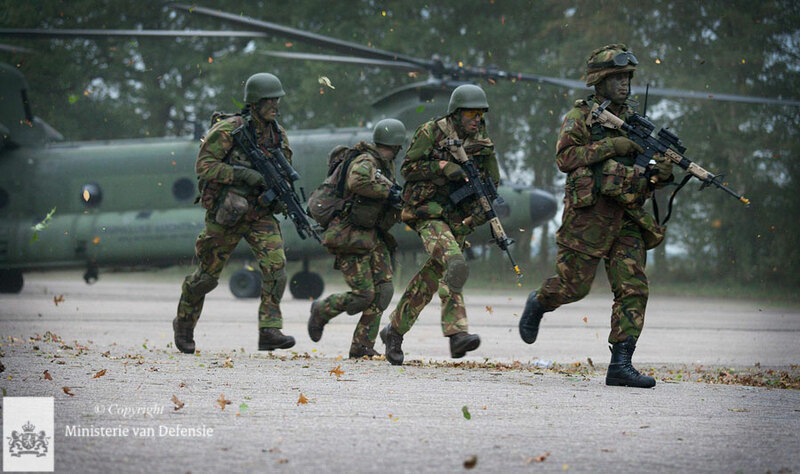 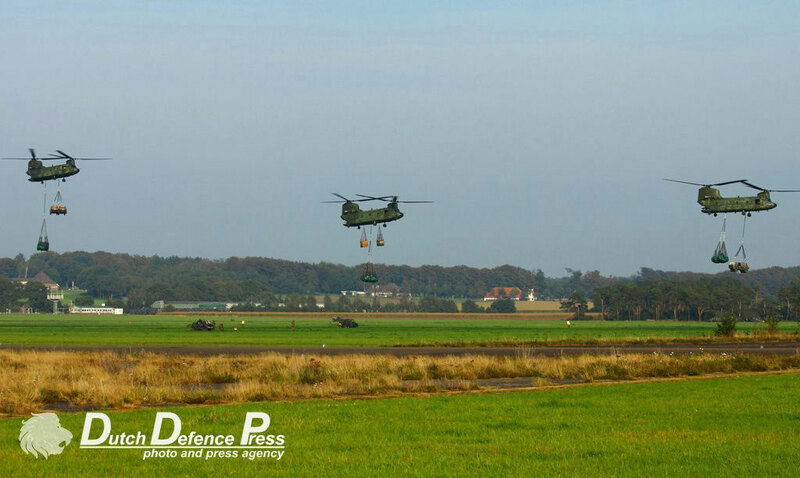 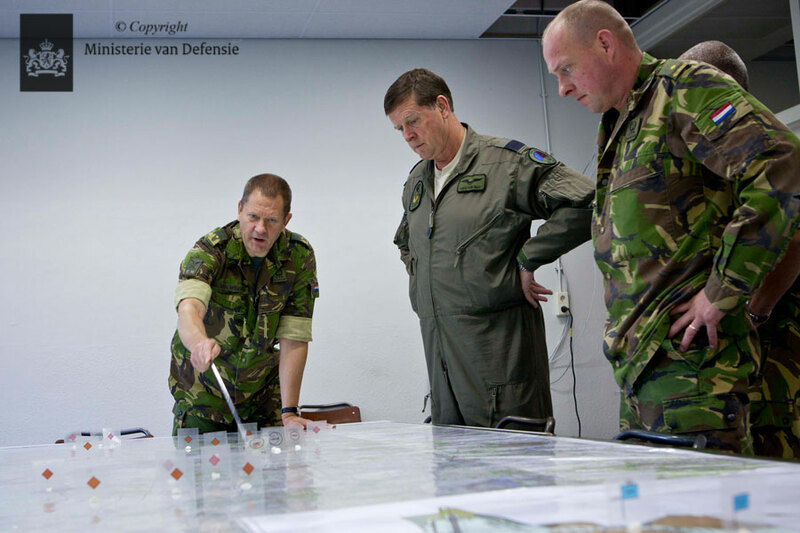 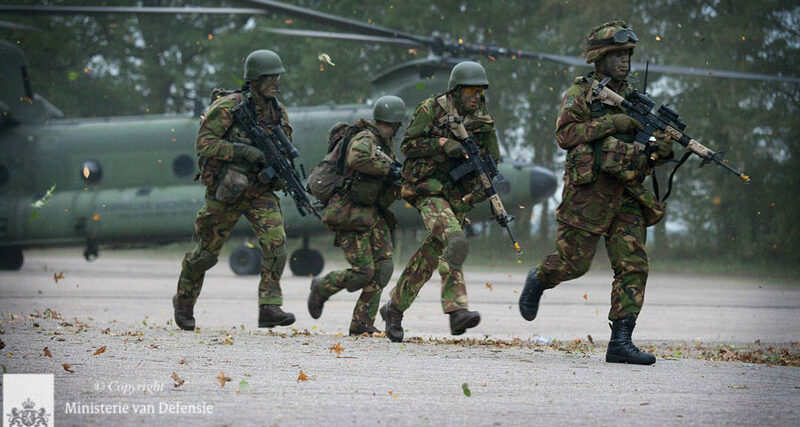 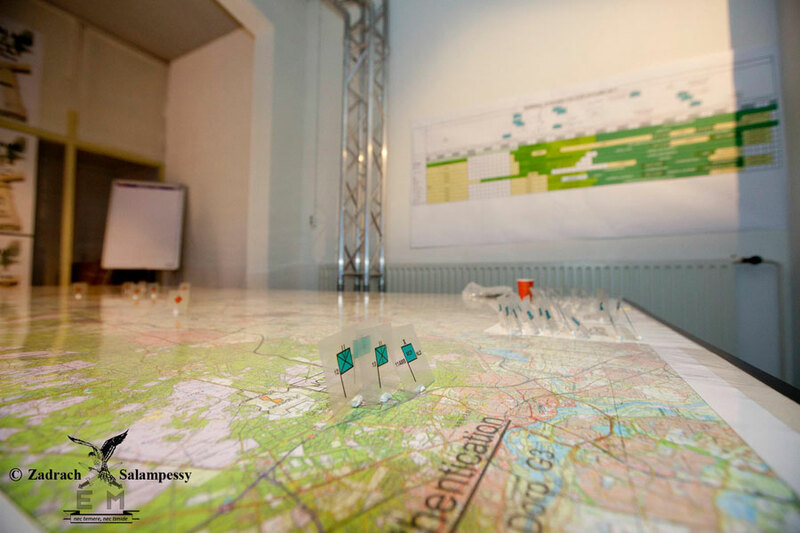 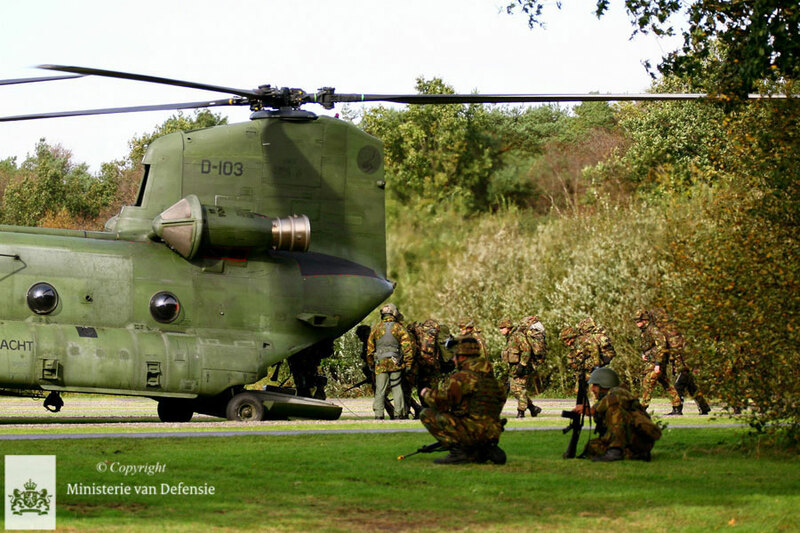 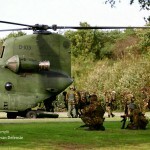 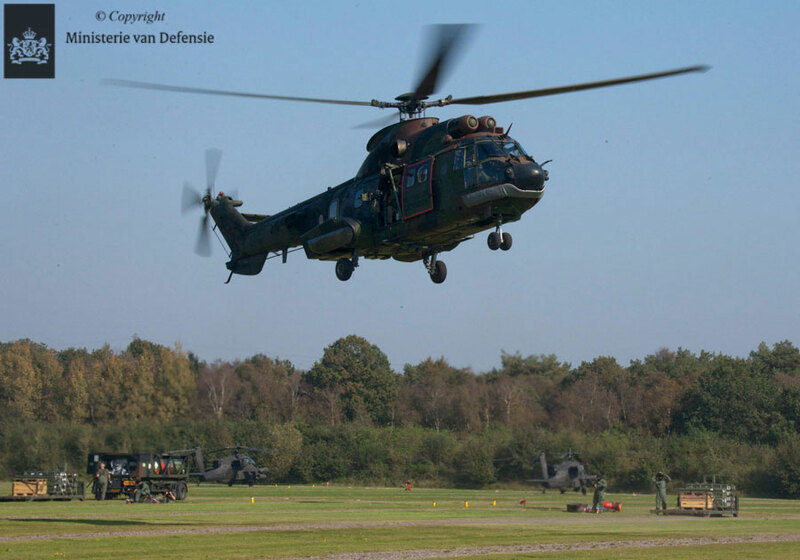 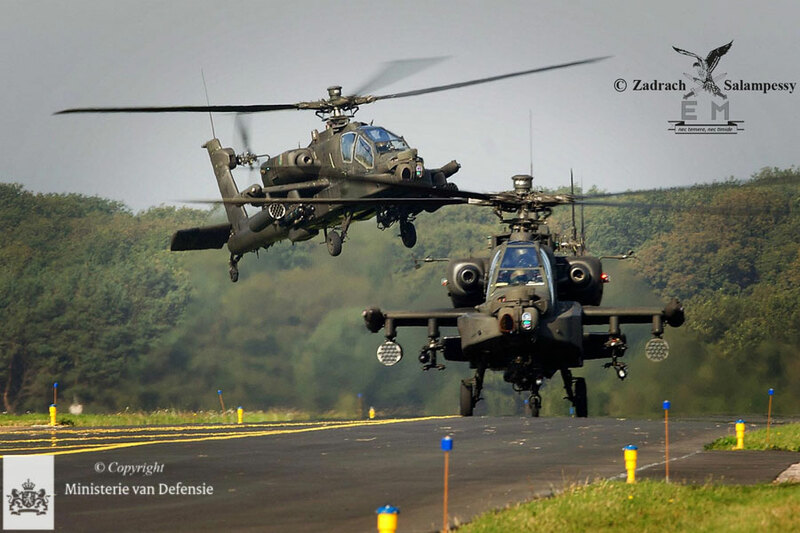 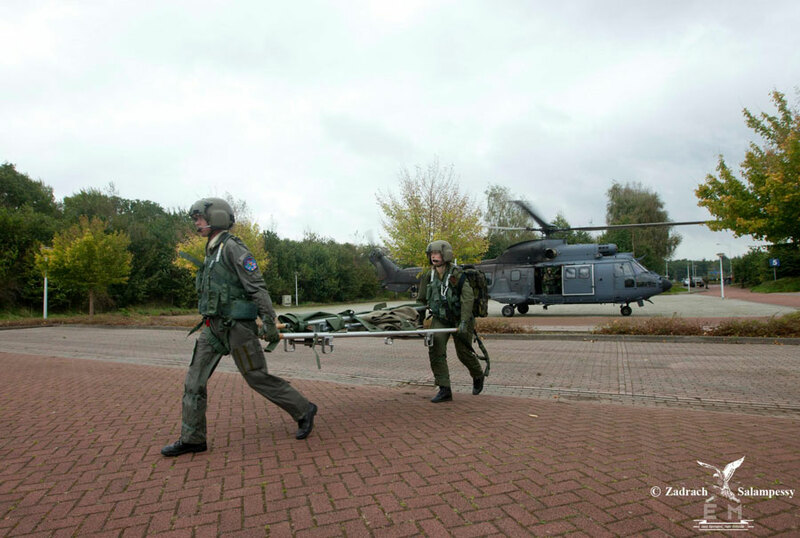 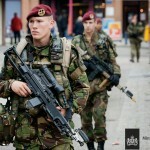 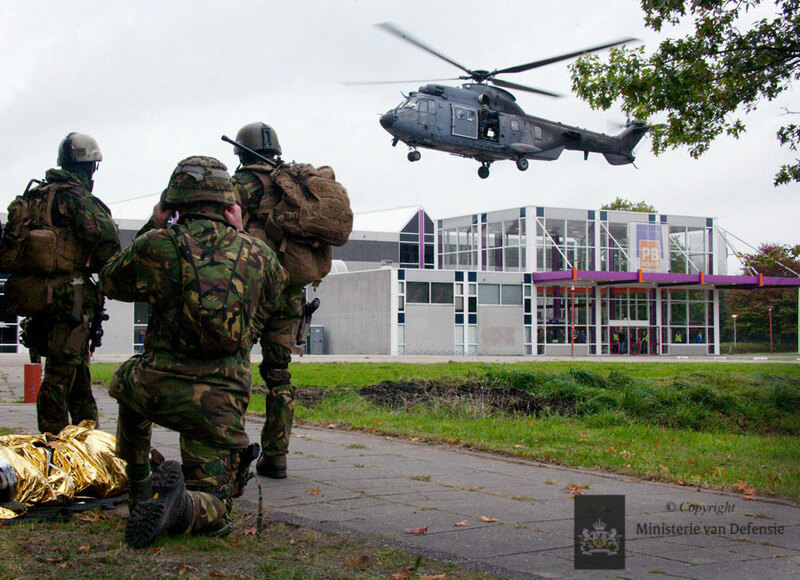 FA11 was held from September 26th until October 7th and involved large scale troop movements in the northeastern part of the Netherlands. 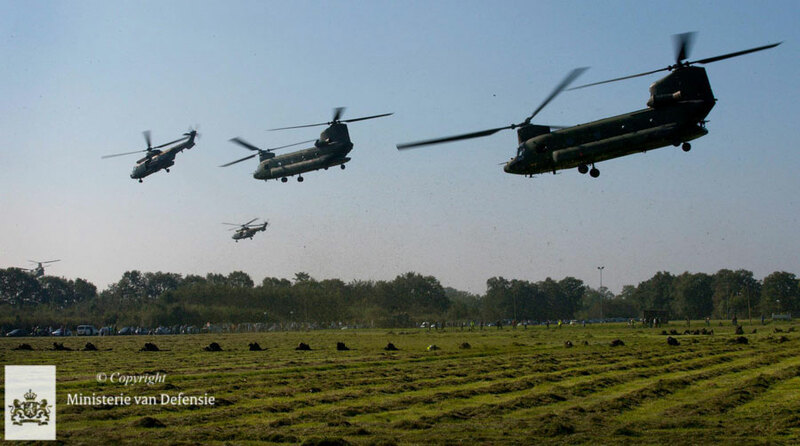 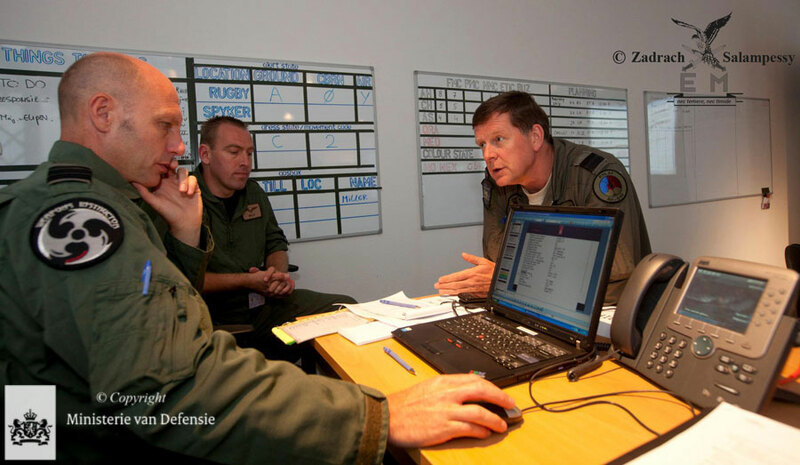 During initial operations, most action originated out of staging area (SA) ‘Rugby’. 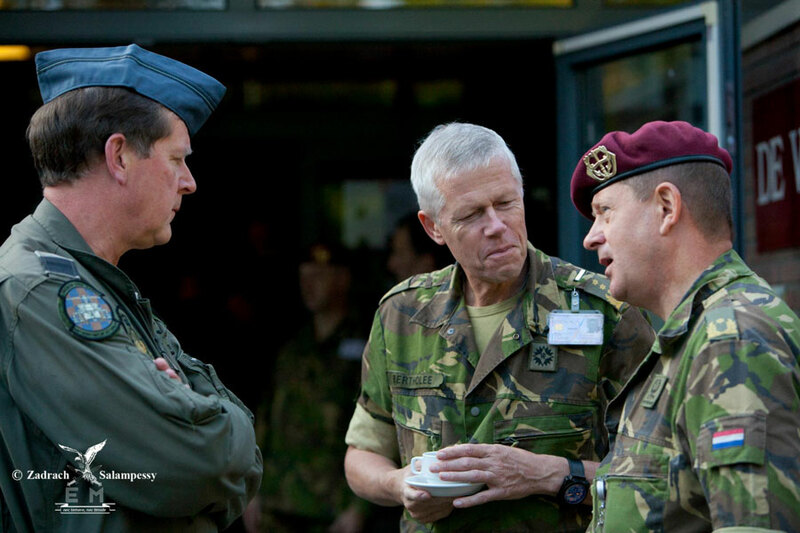 This SA was established at Deelen AB which is also home to 11 AMB headquarters in peacetime. 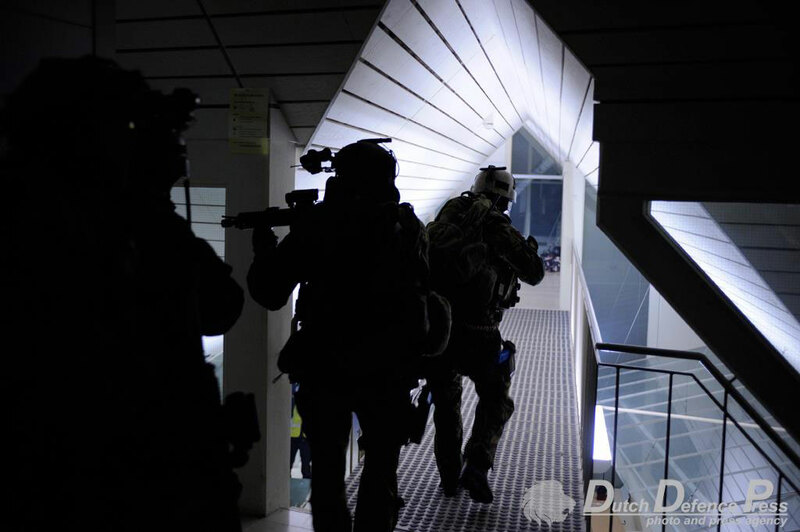 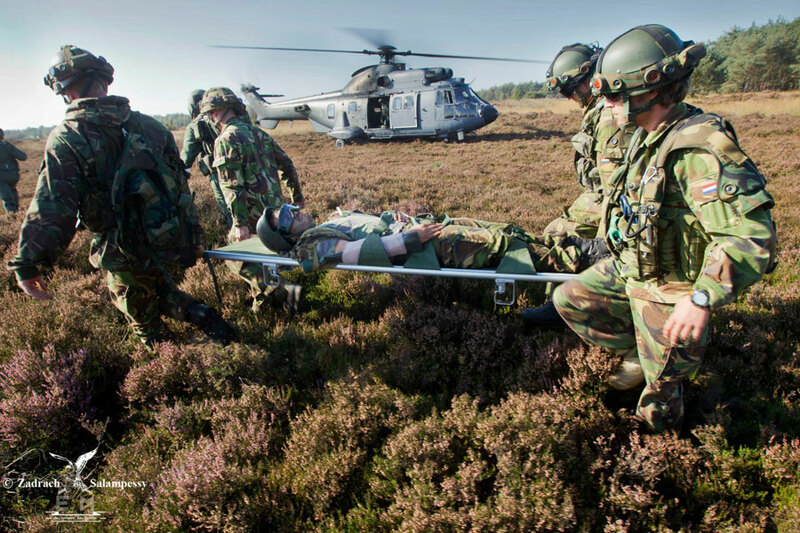 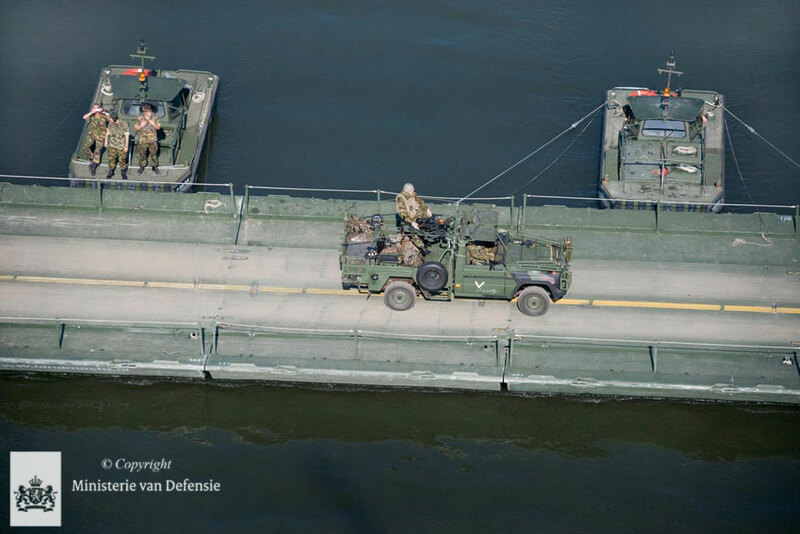 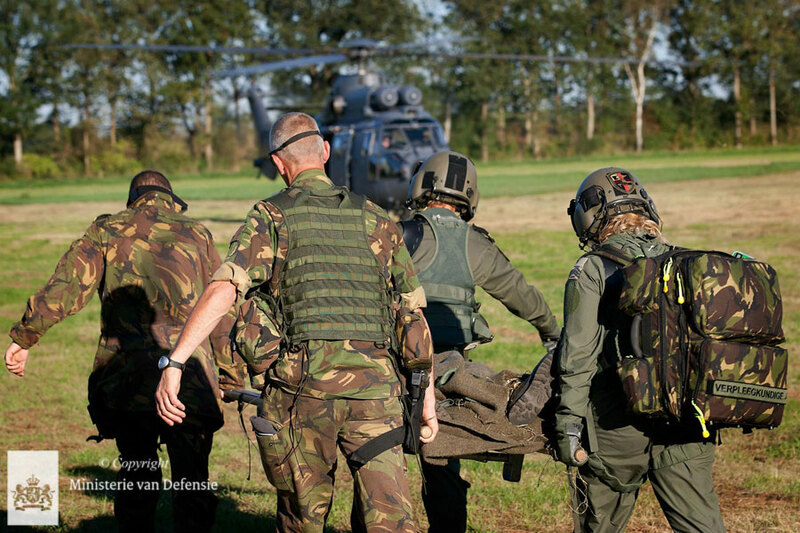 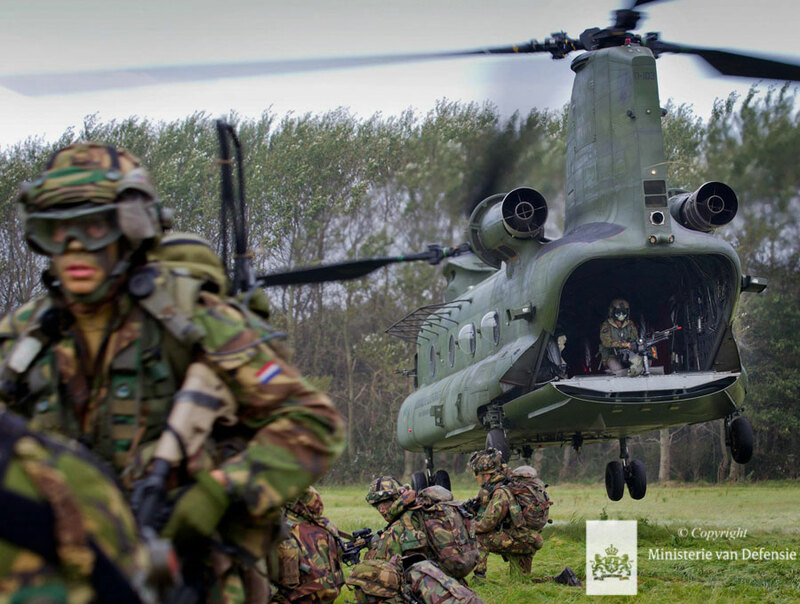 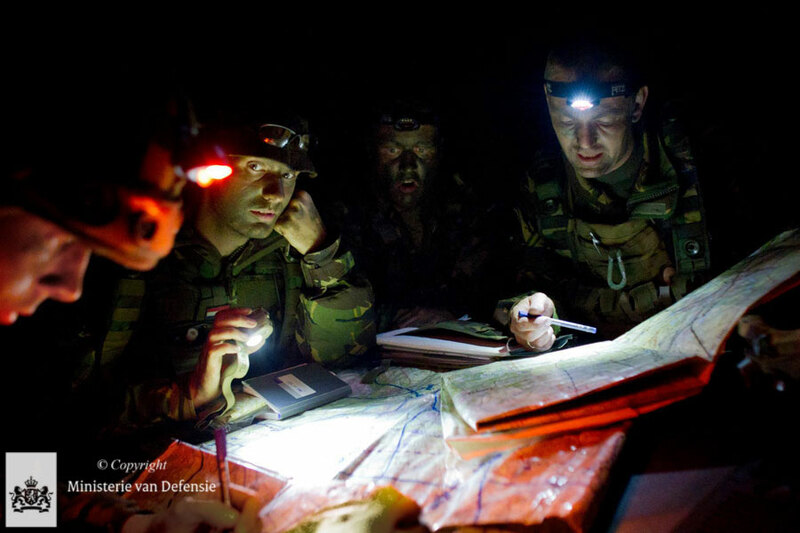 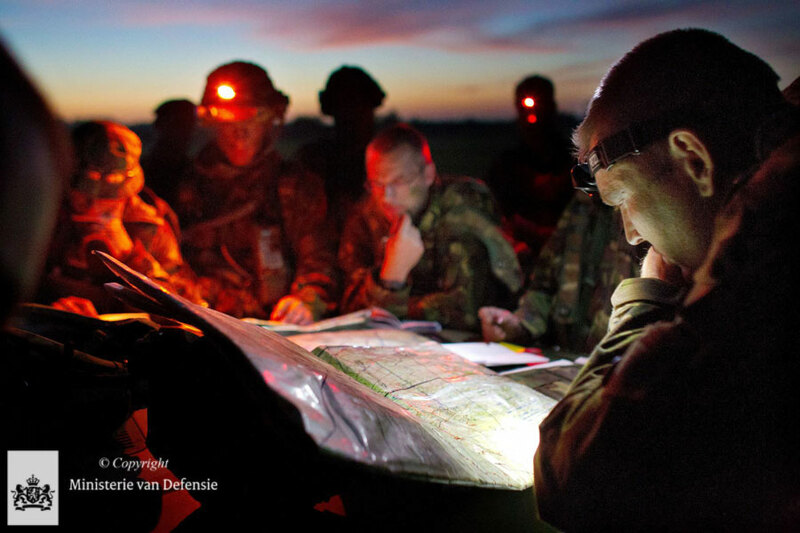 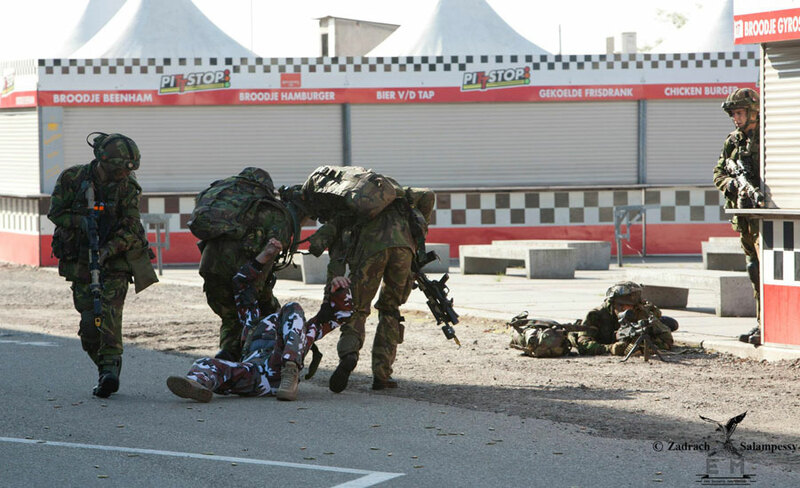 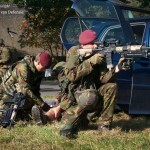 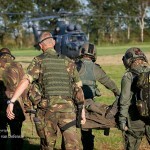 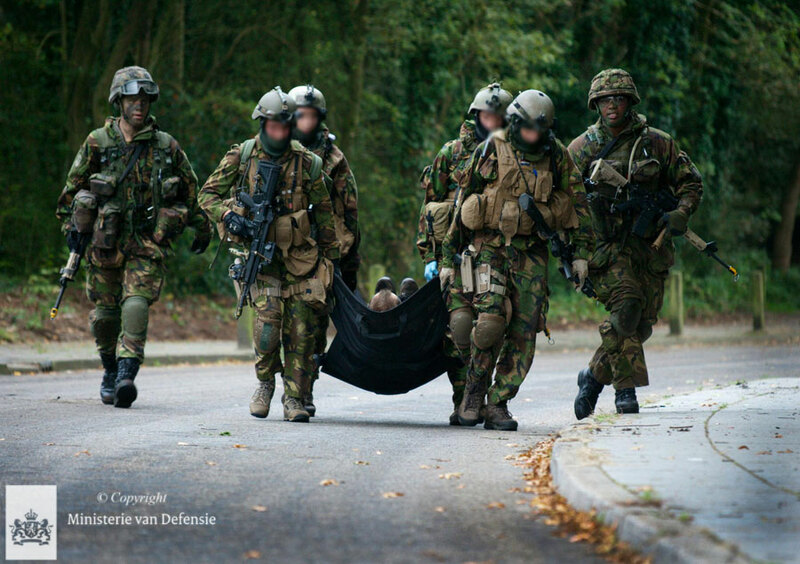 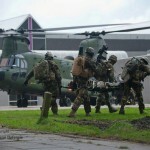 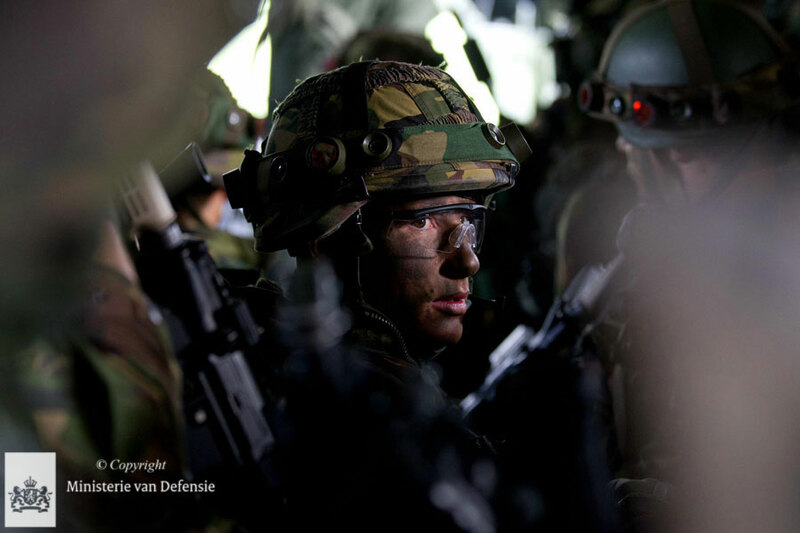 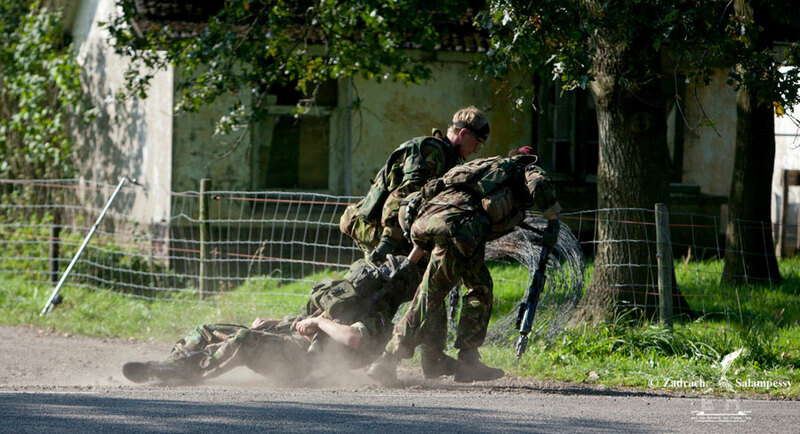 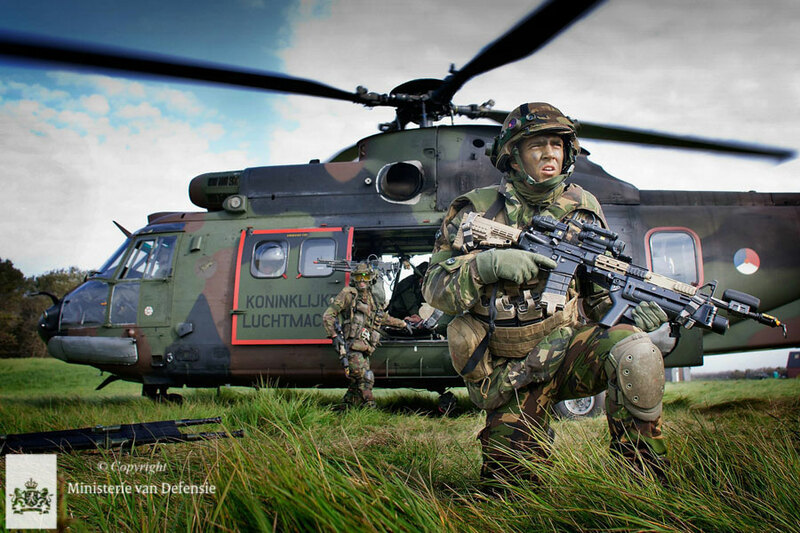 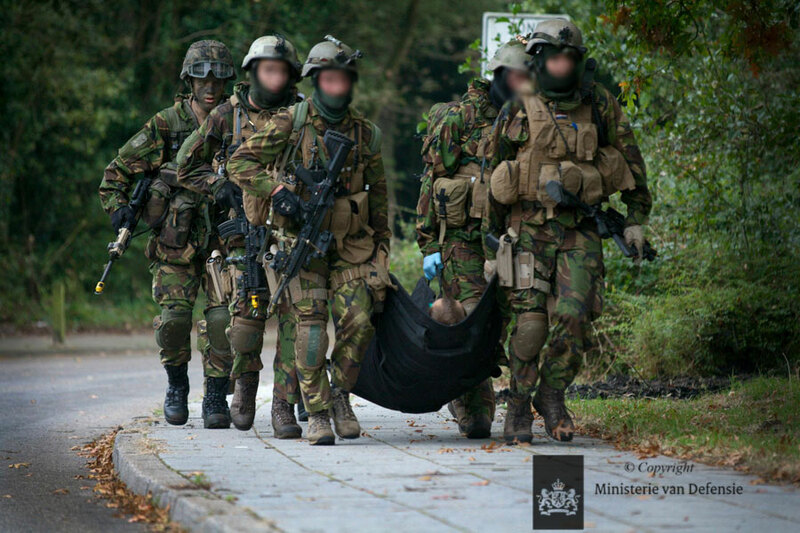 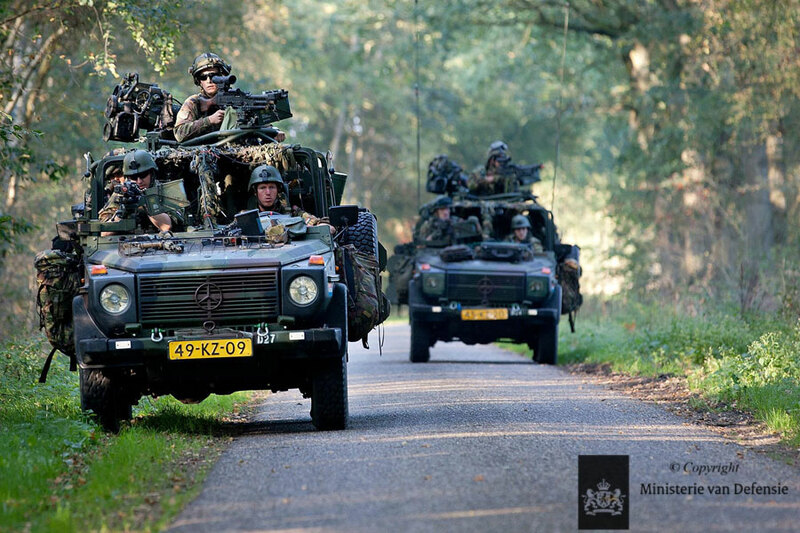 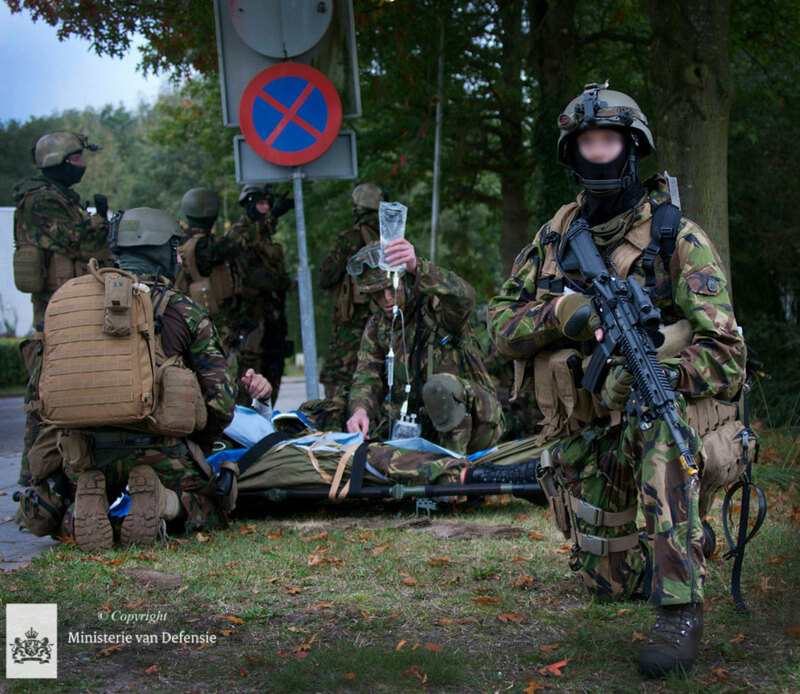 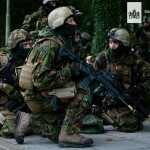 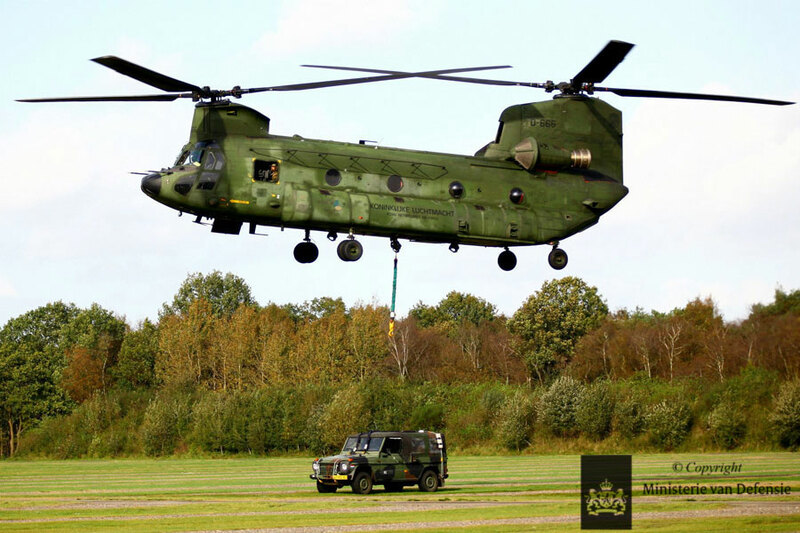 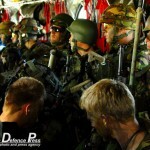 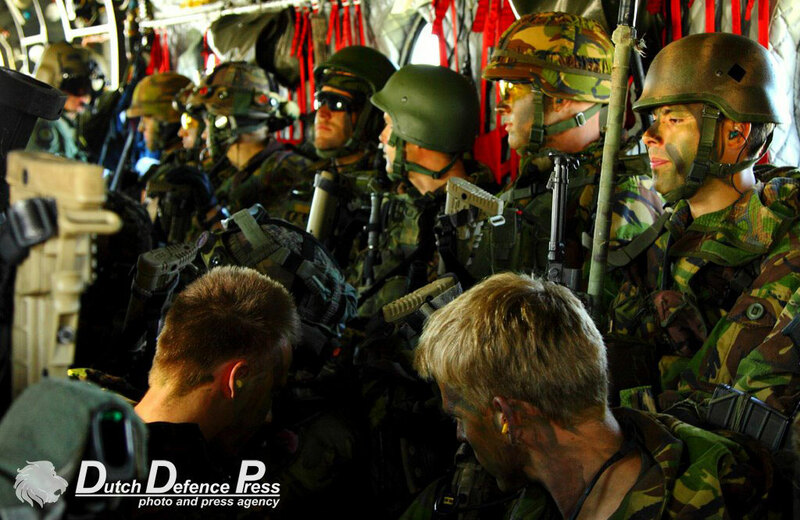 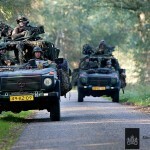 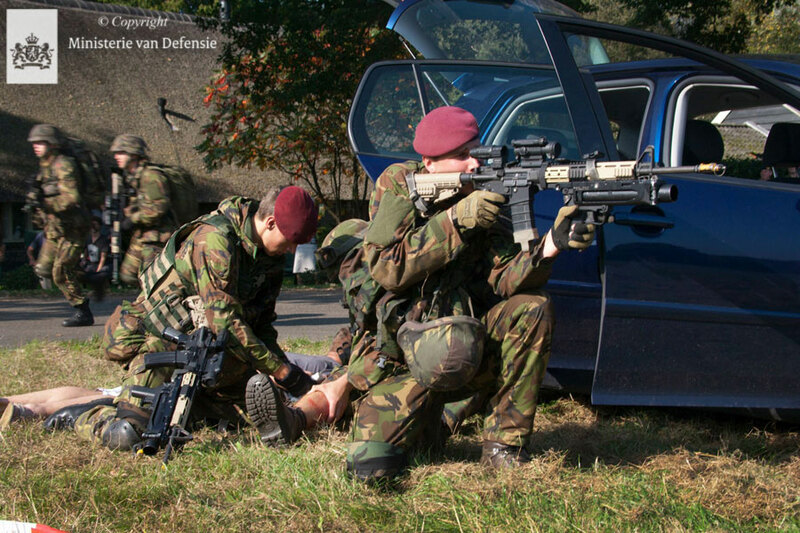 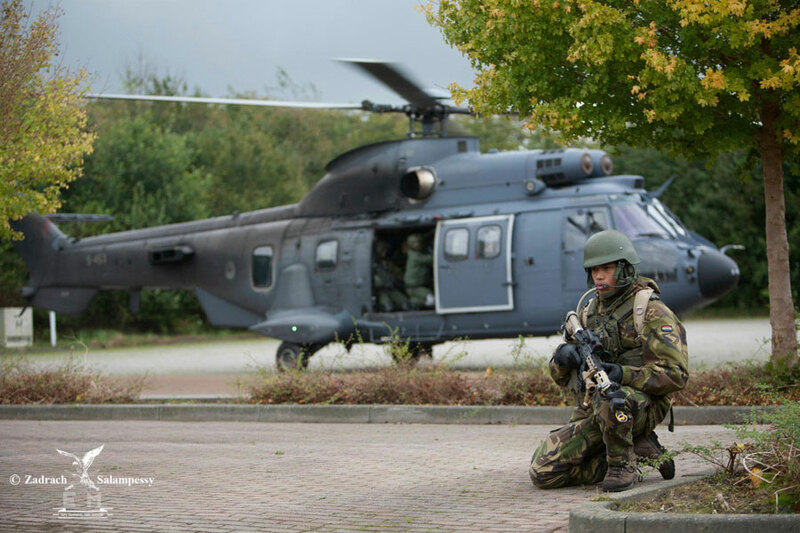 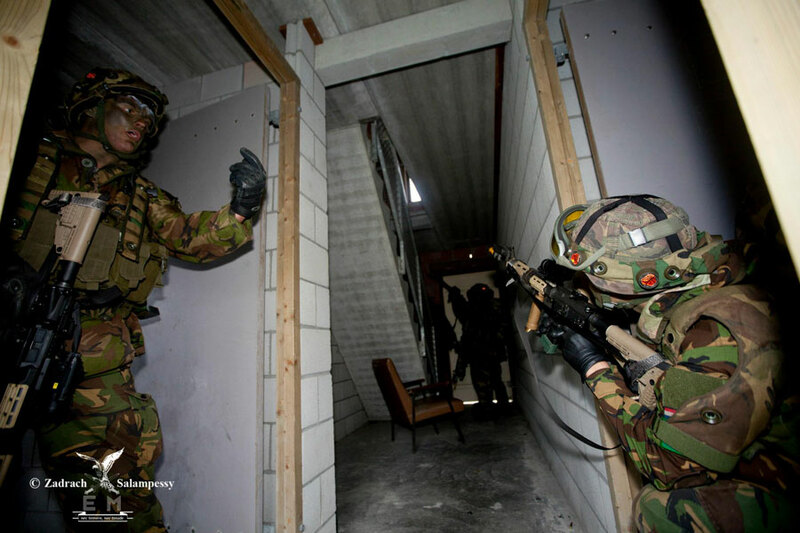 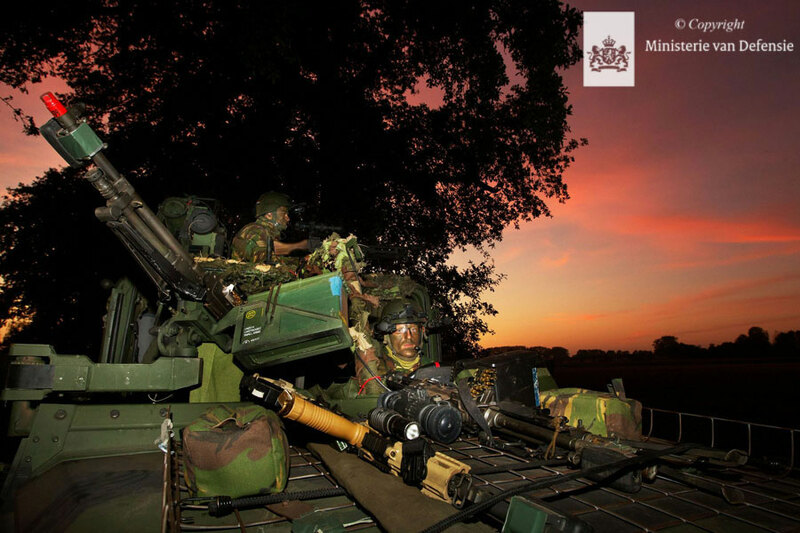 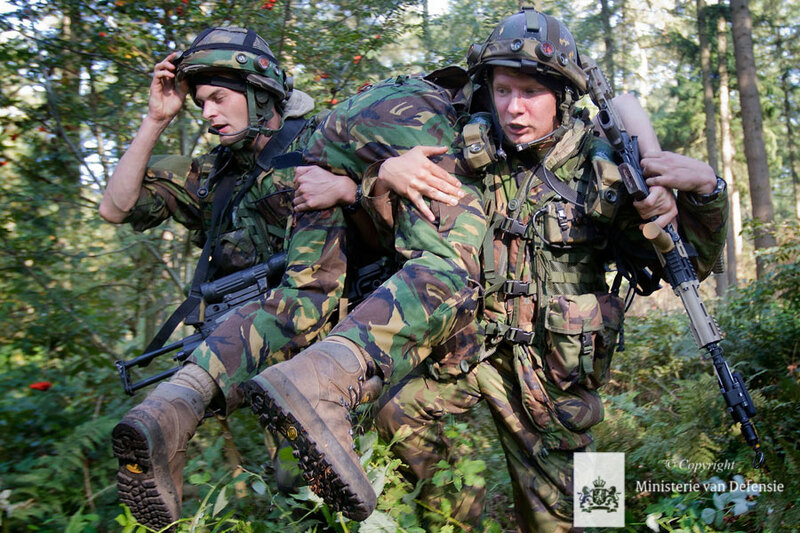 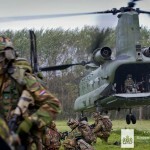 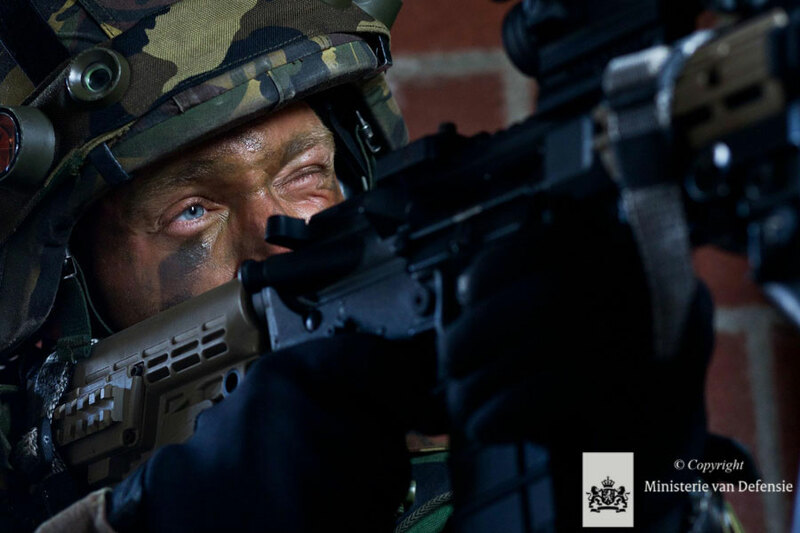 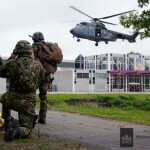 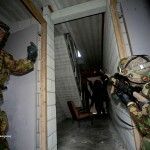 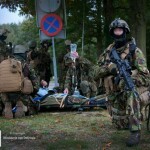 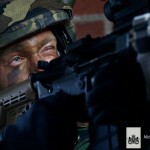 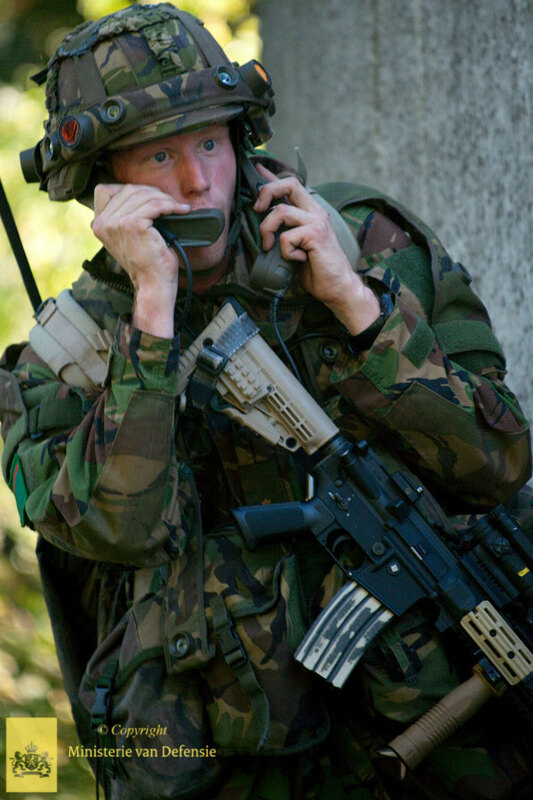 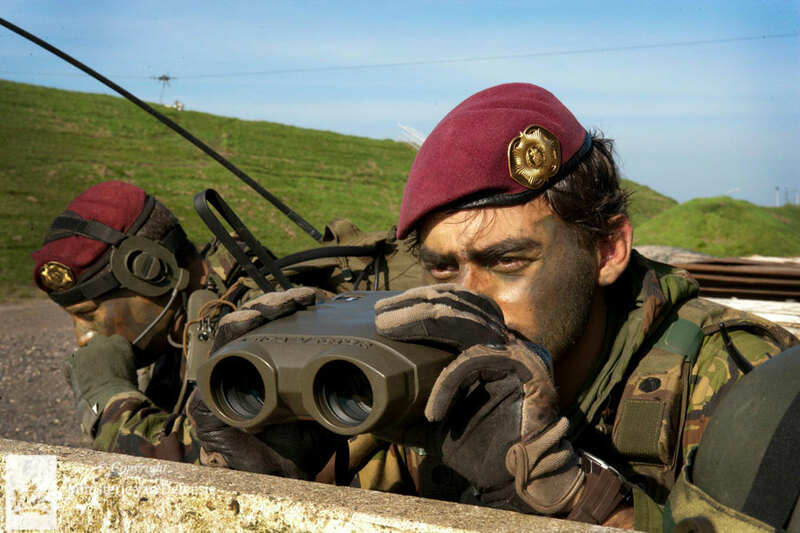 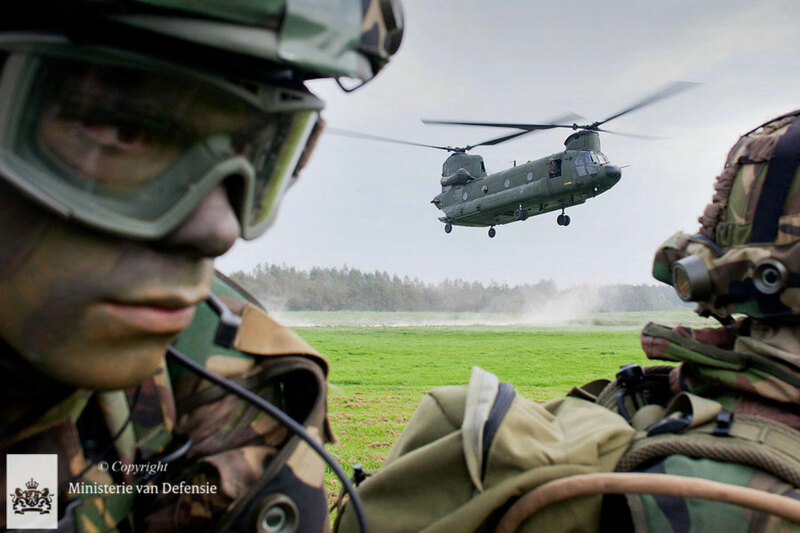 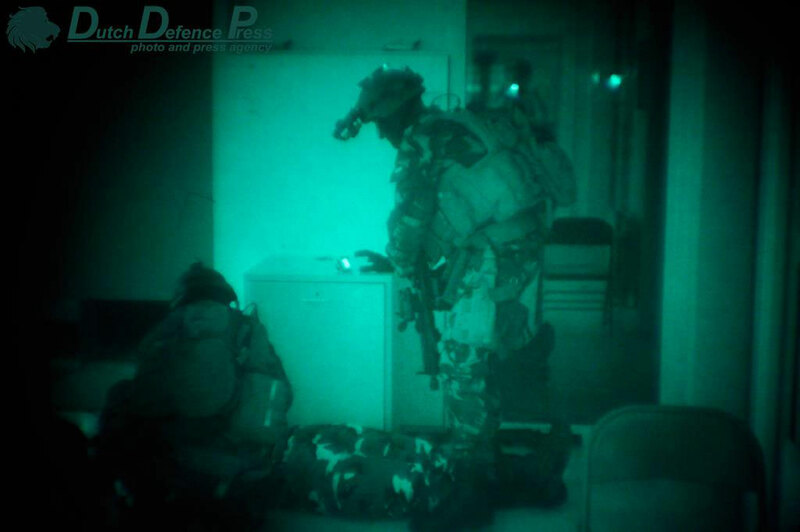 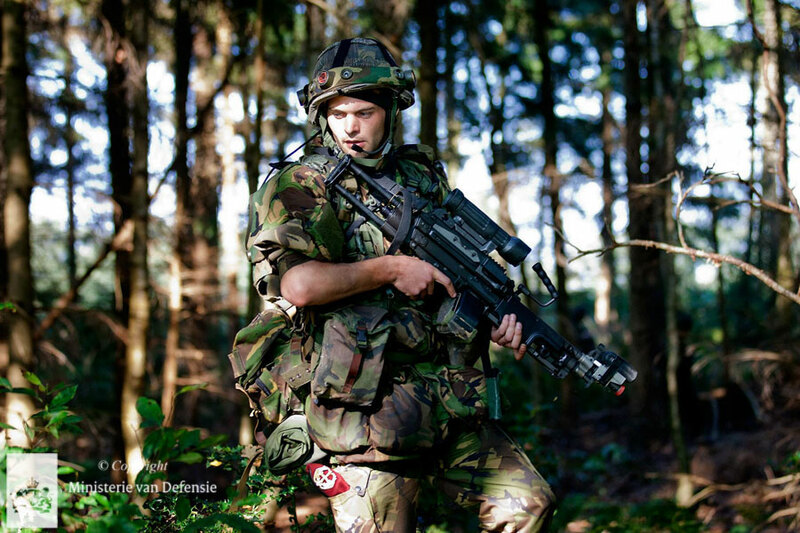 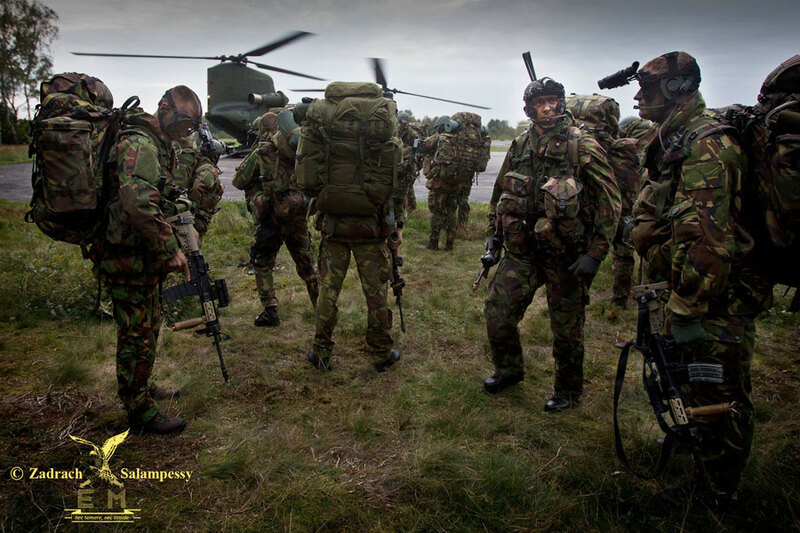 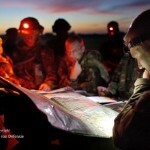 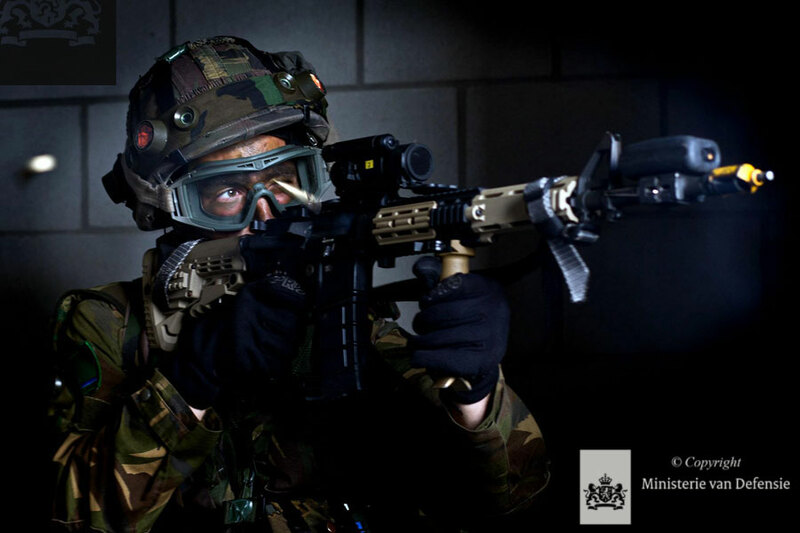 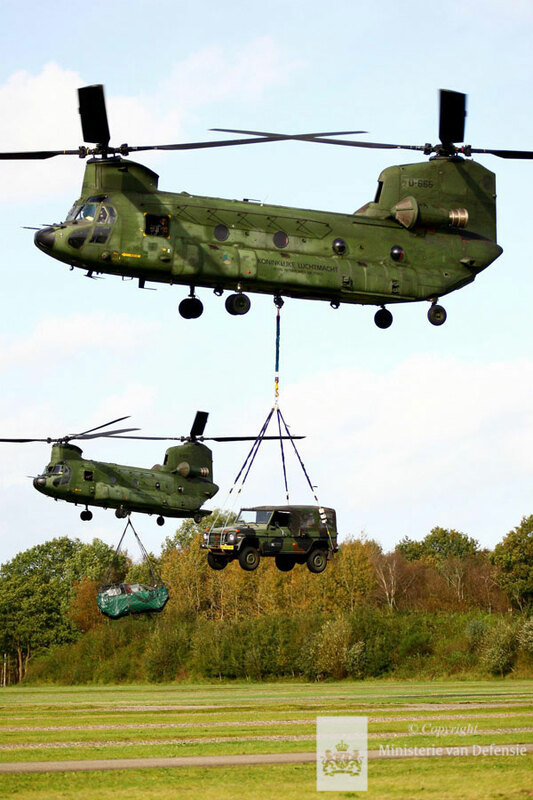 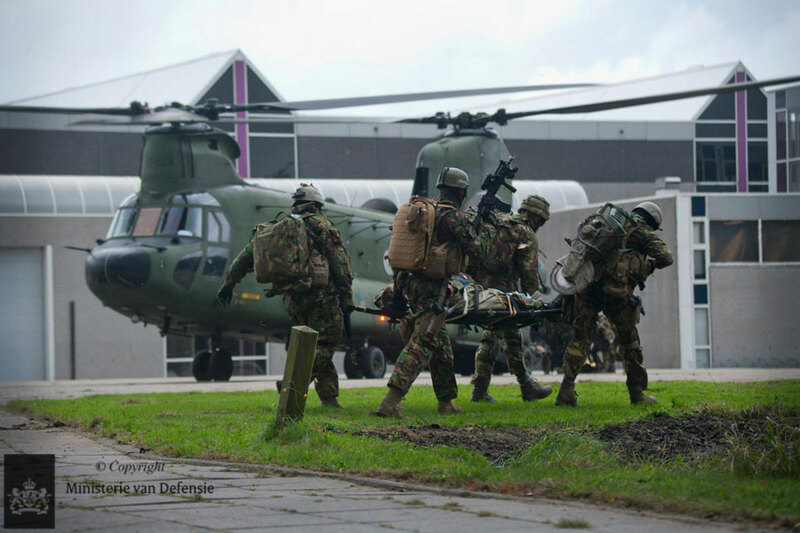 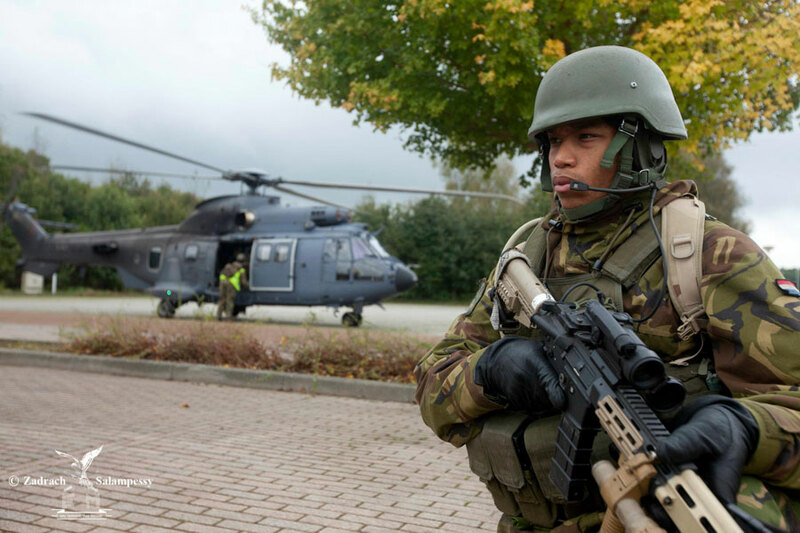 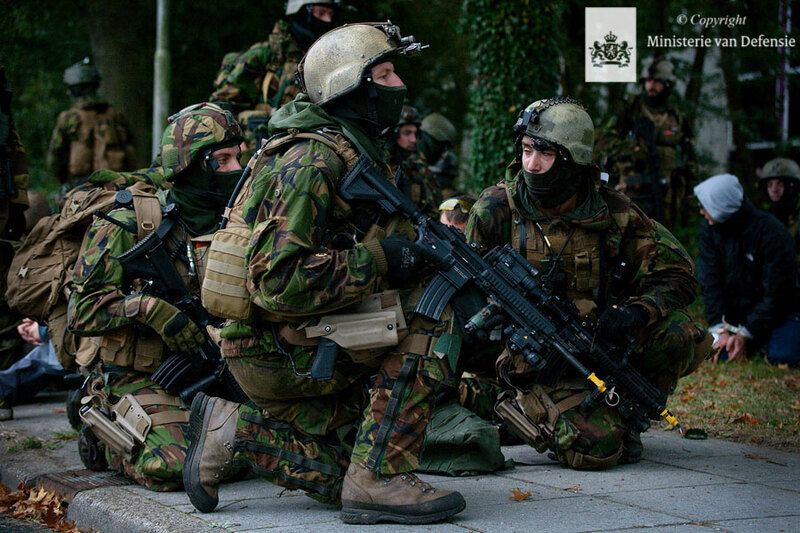 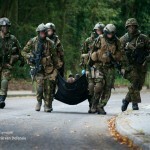 ‘Shaping’ operations were executed by Special Operations Task Groups (SOTG) in which operators from the Royal Netherlands Army (RNLA) Special Forces Regiment joined forces with troops from the Special Tasks Battlegroup (STBG) of 11 AMB. 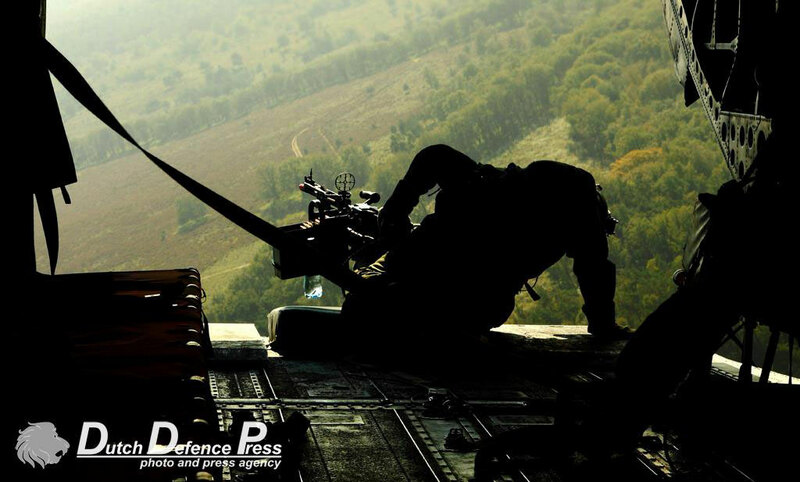 Enemy command and control (C2) and air defence systems were degraded by special operations forces inserted by helicopter or parachute. 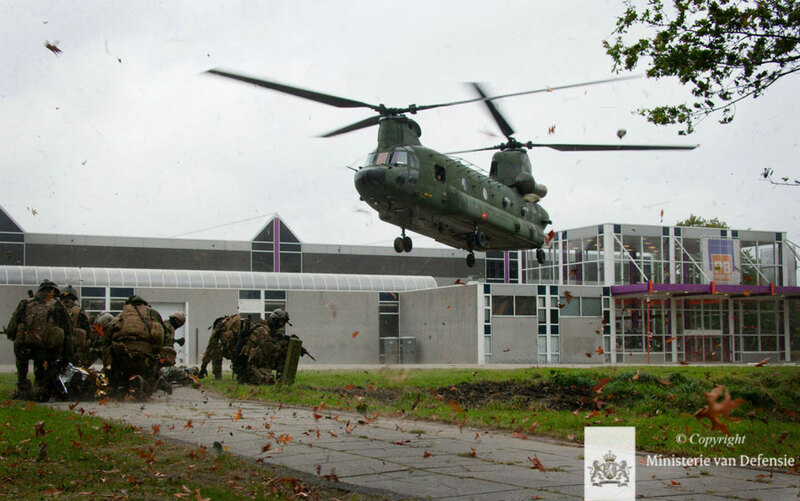 Objective ‘Silver’ was taken by storm September 28th during a battalion level air assault by 12 Infantry Battalion (AASLT) Regiment Van Heutsz, the air assault specialists of 11 AMB. 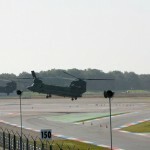 The airhead which was established at the TT race track of Assen was needed to launch further action into enemy territory. 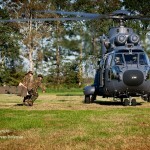 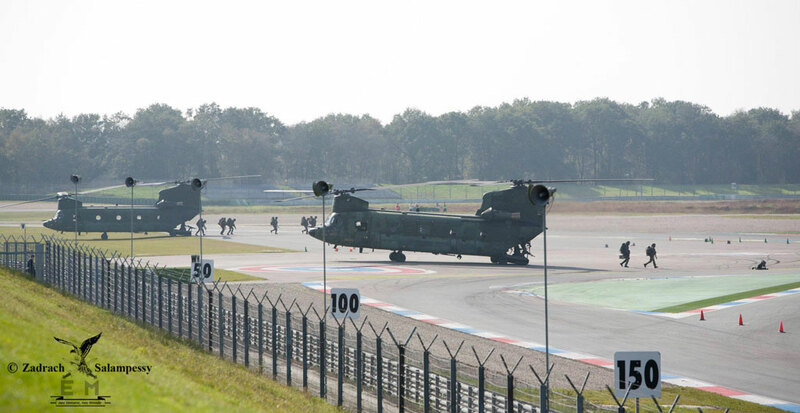 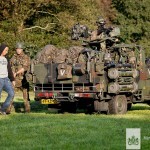 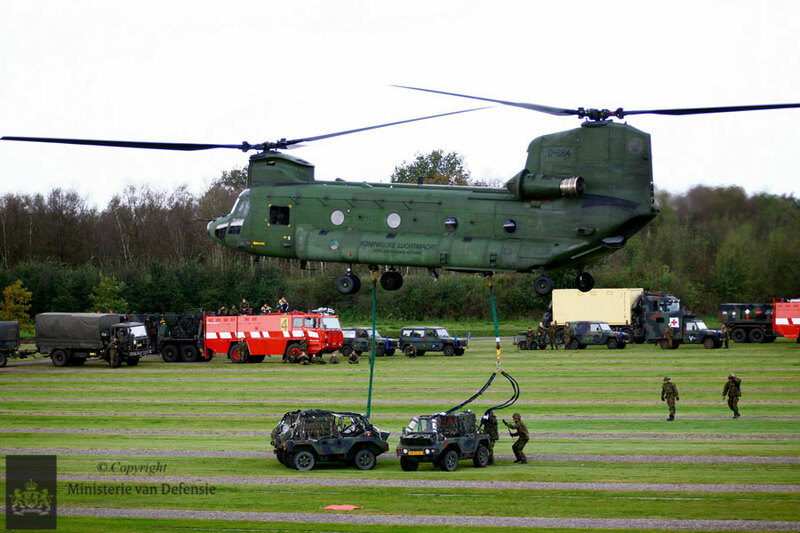 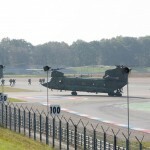 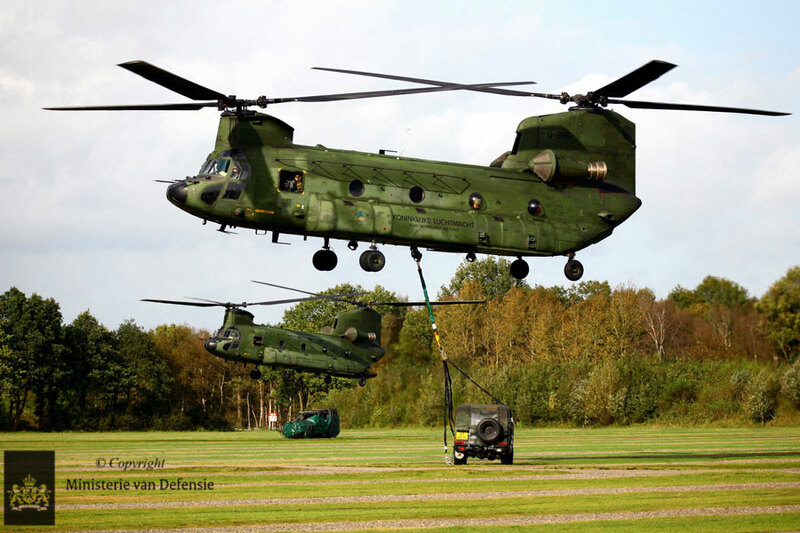 Reinforcements poured into ‘Silver’ after a succesful link-up by motorized columns with the air assault forces still present in Assen. 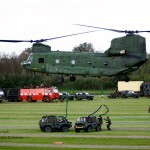 Then, the airhead was quickly transformed into a Main Operating Base (MOB). 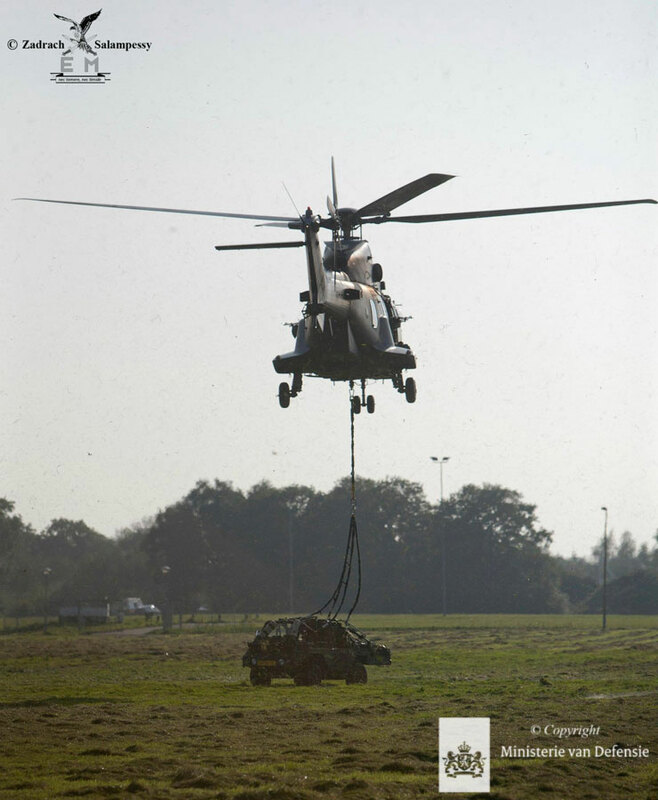 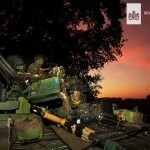 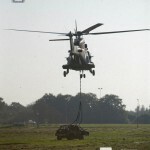 During the stabilisation phase various operations were initiated to increase local presence. 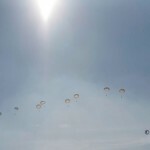 Two more air assaults were launched out of MOB ‘Spyker’. 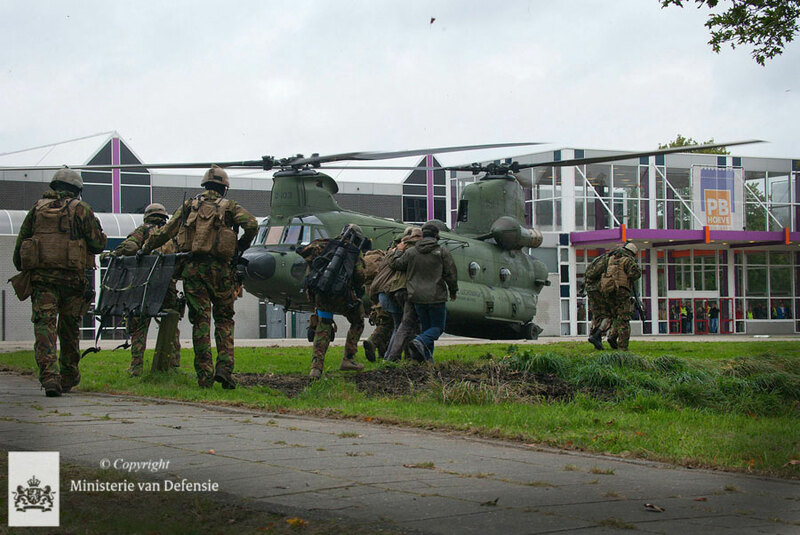 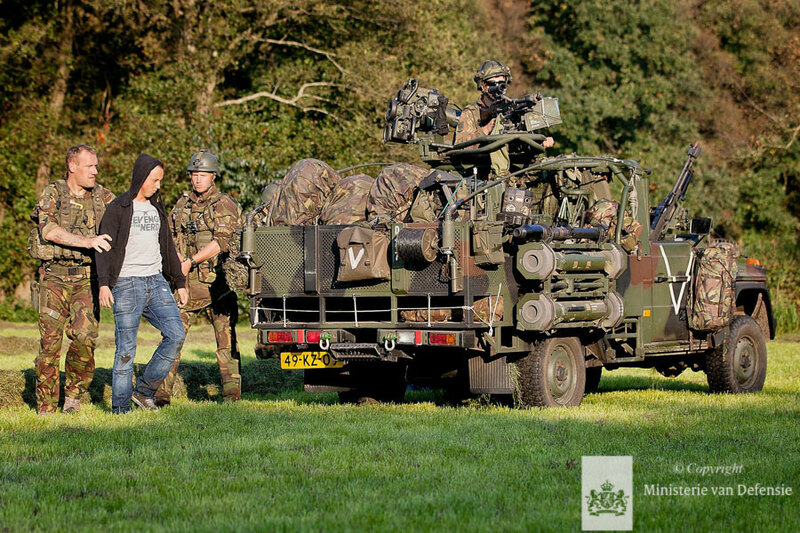 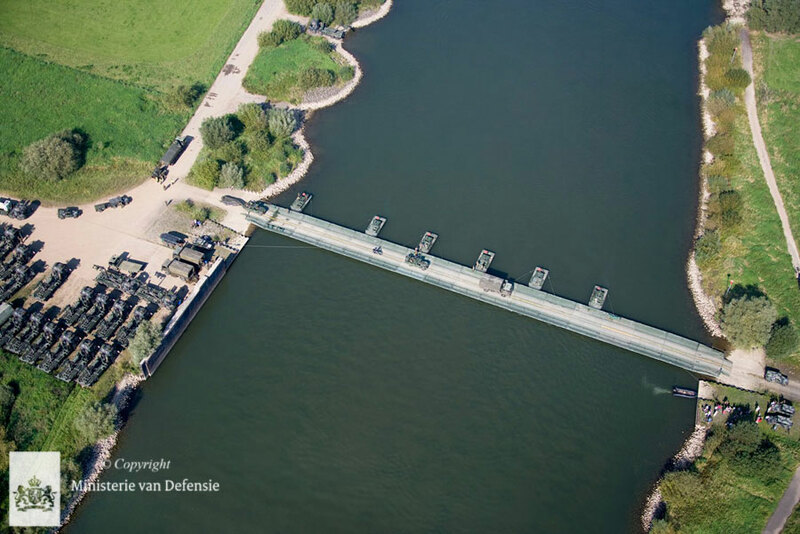 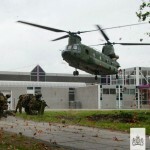 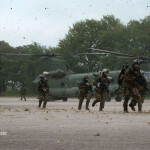 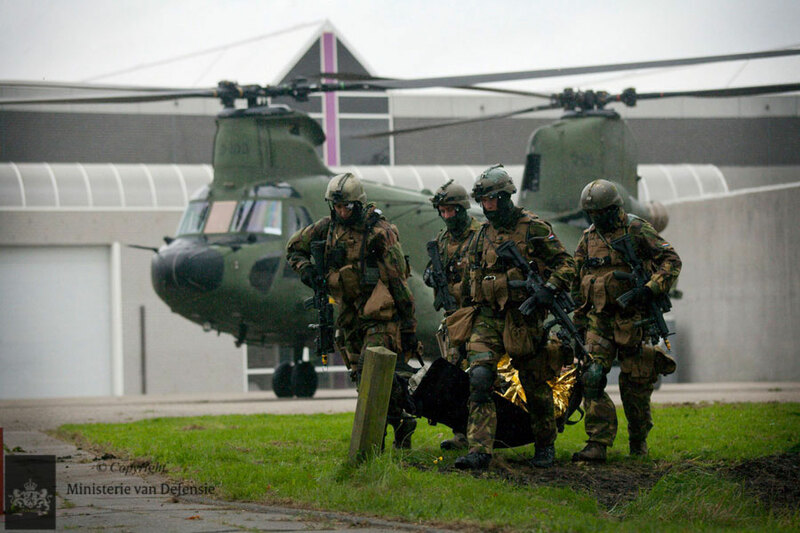 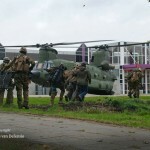 Marnehuizen training area was raided by an air assault company October 3rd for intelligence gathering purposes once enemy key leaders had been neutralized. 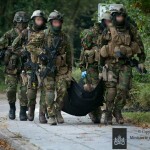 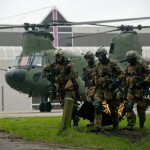 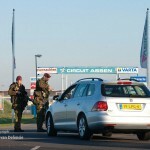 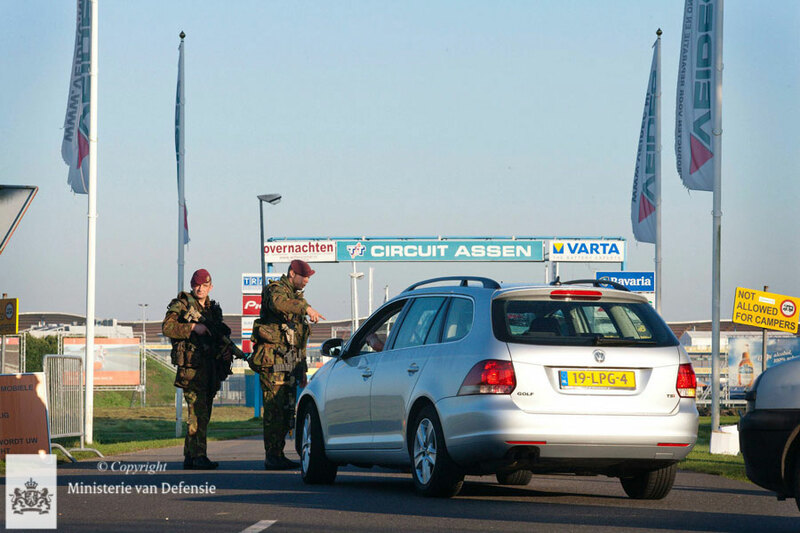 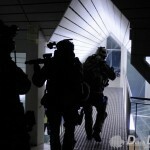 Objective ‘Gold’ in Zuid-Laren was assaulted by a SOTG two days later as part of a hostage release operation (HRO). 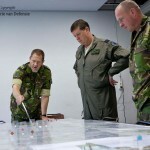 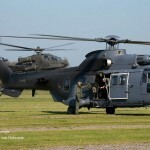 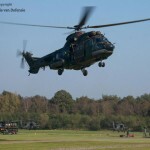 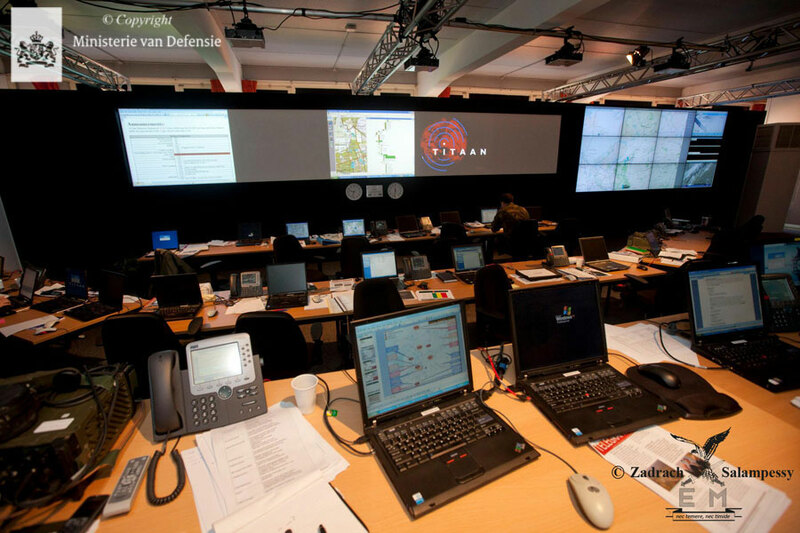 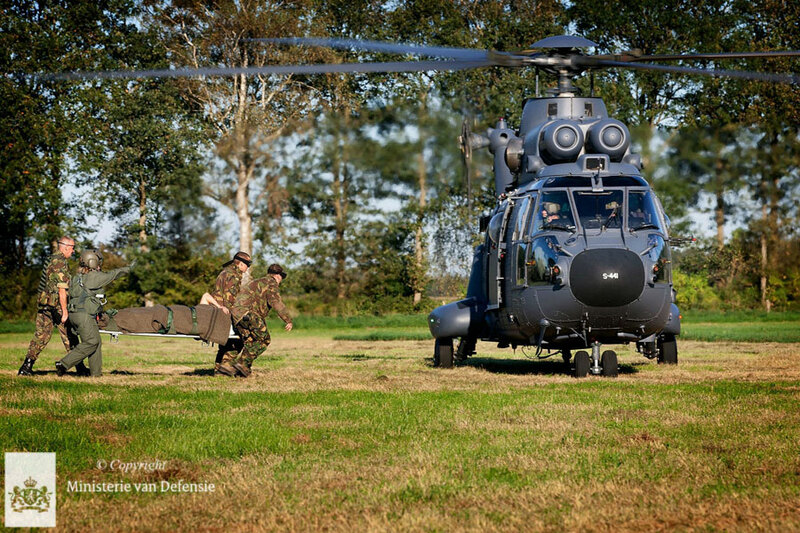 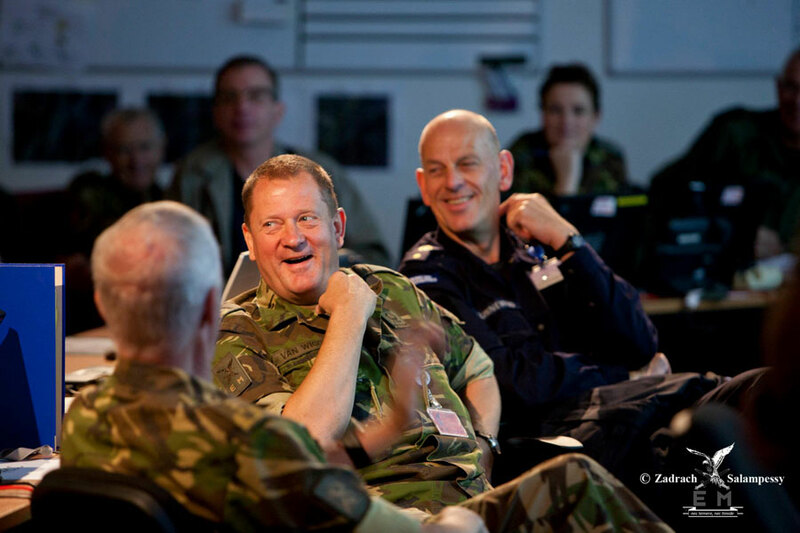 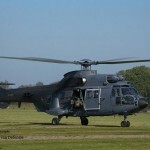 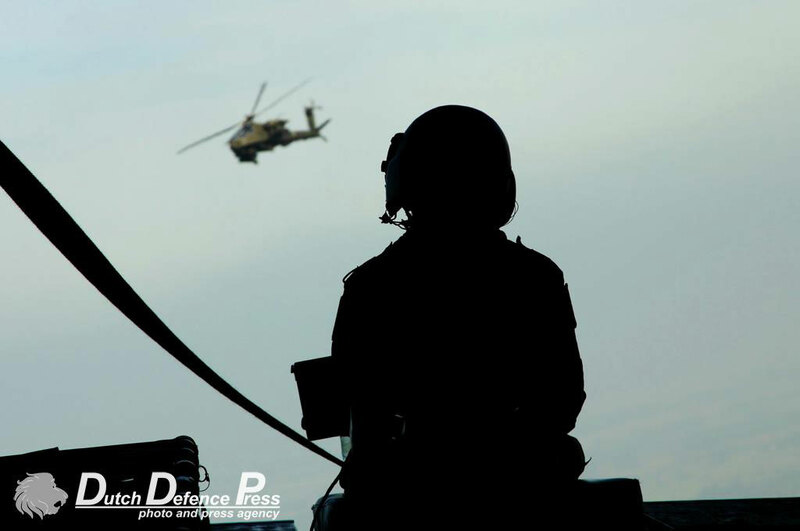 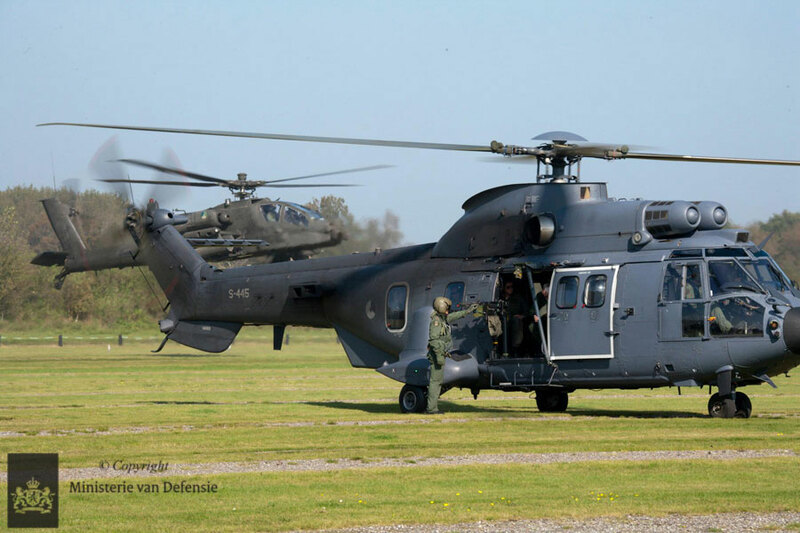 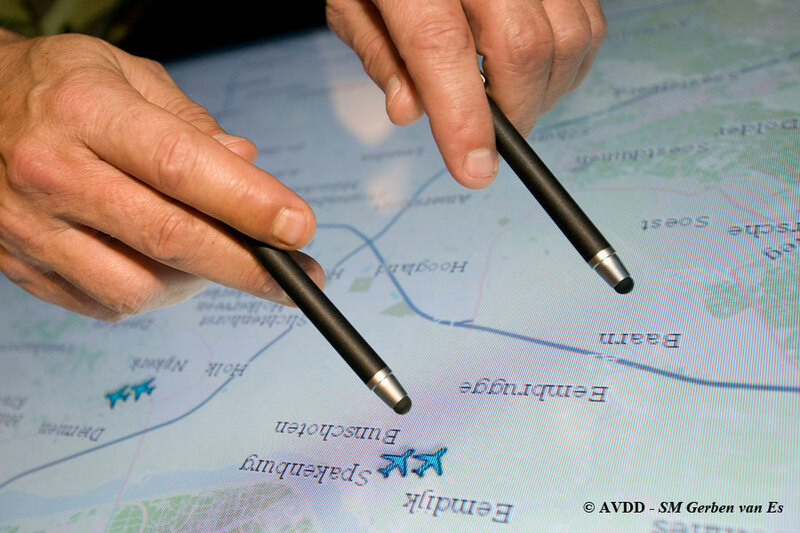 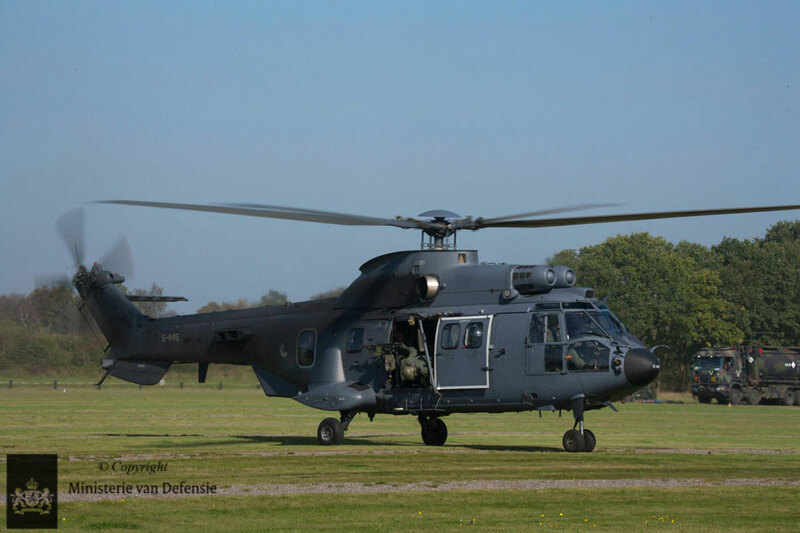 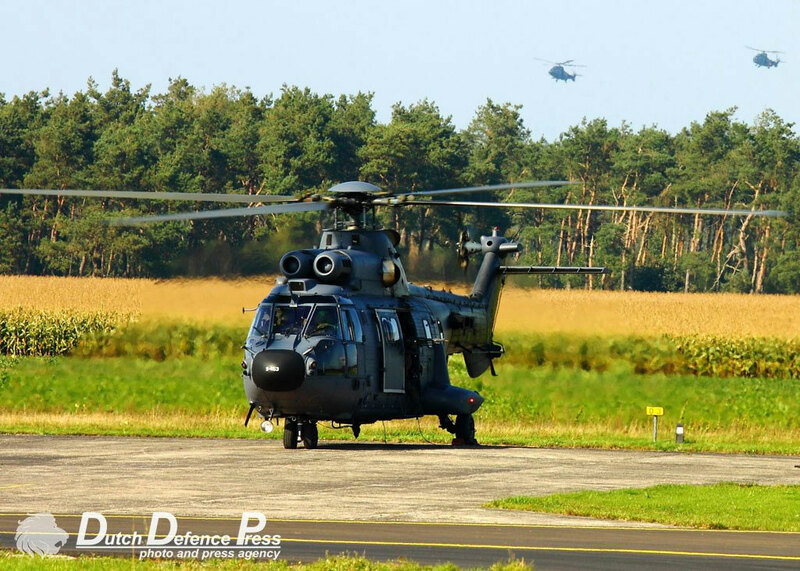 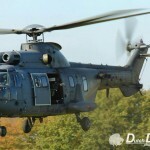 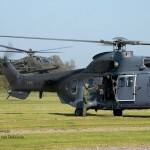 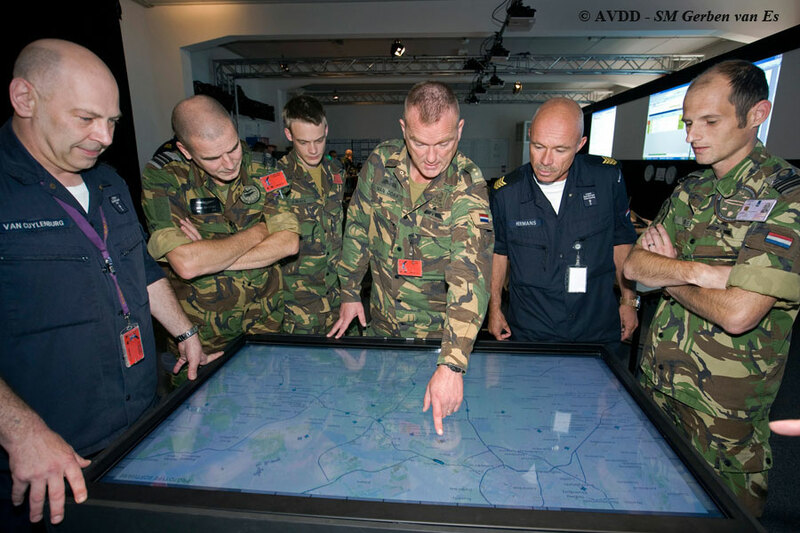 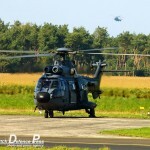 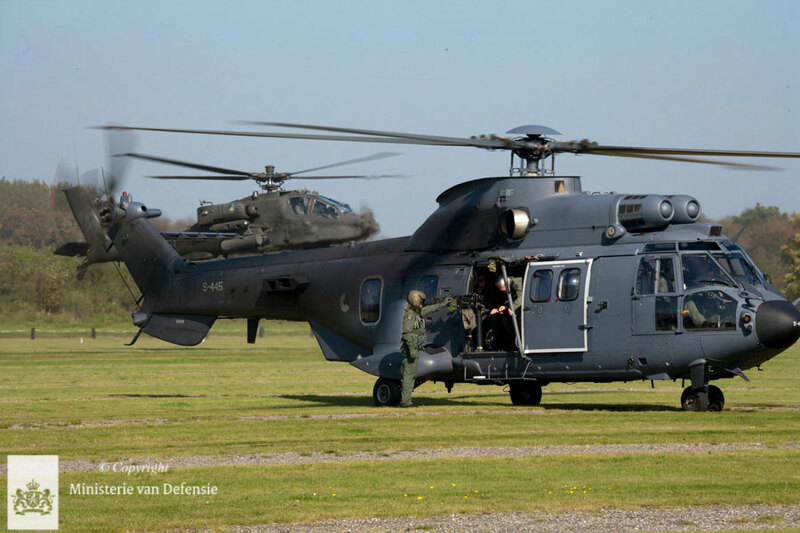 Commander Dutch Defence Helicopter Command (DHC), Air-Commodore Theo ten Haaf, had identified a number of specific goals for participating DHC units. 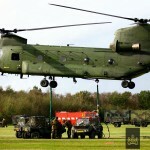 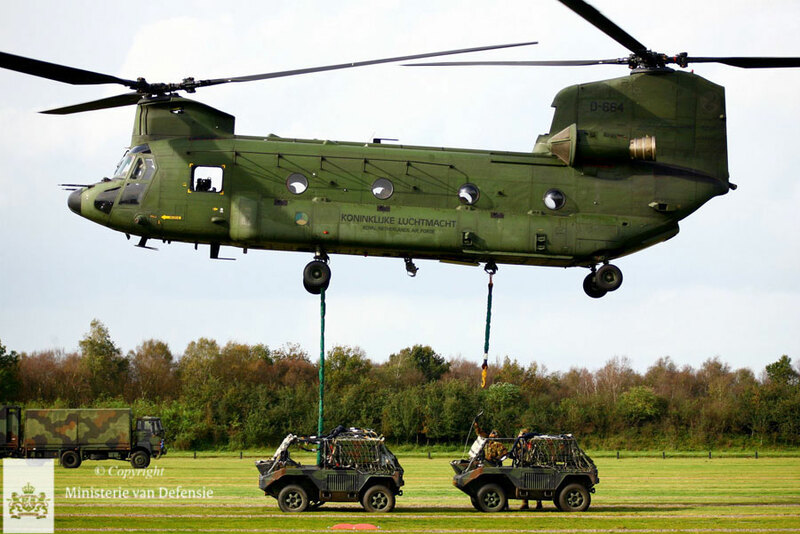 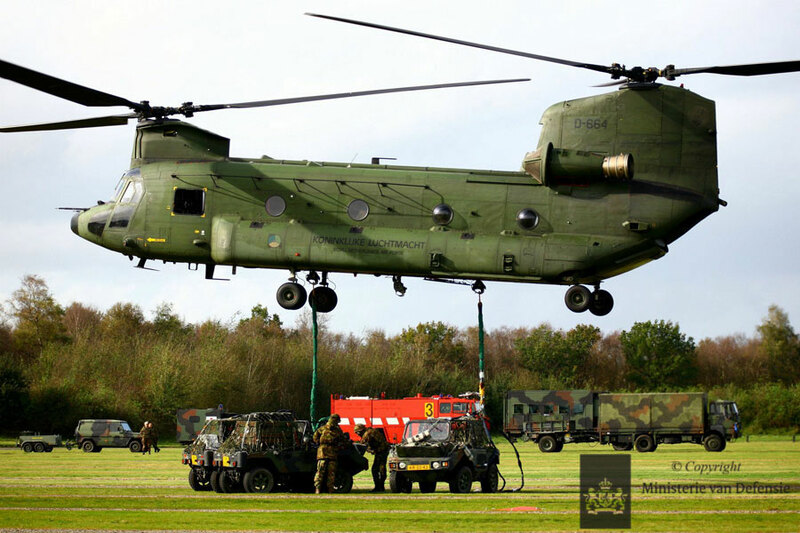 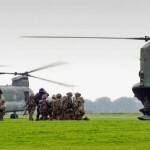 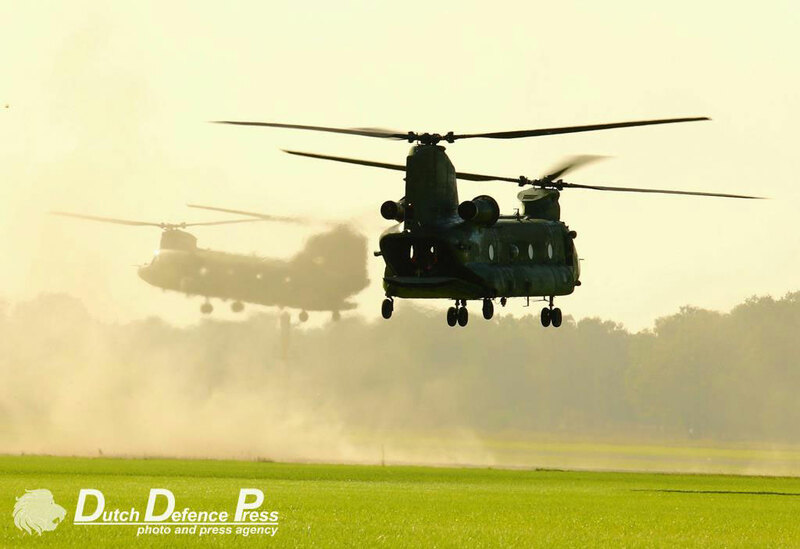 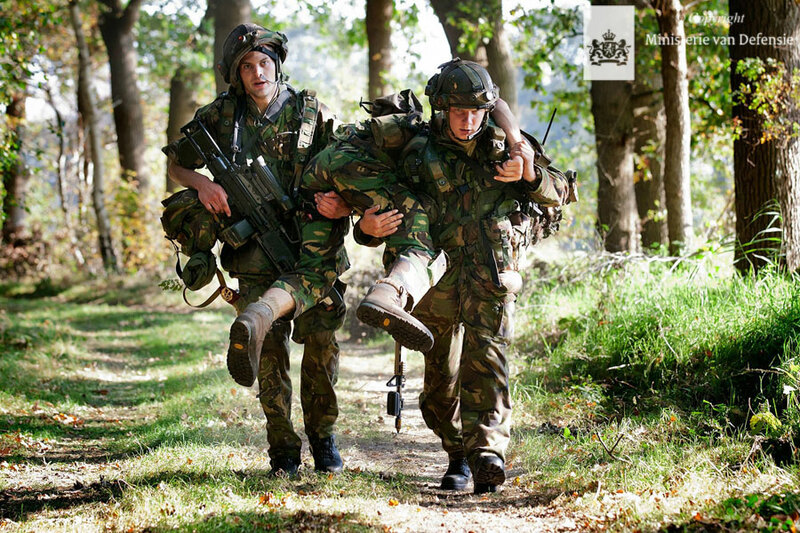 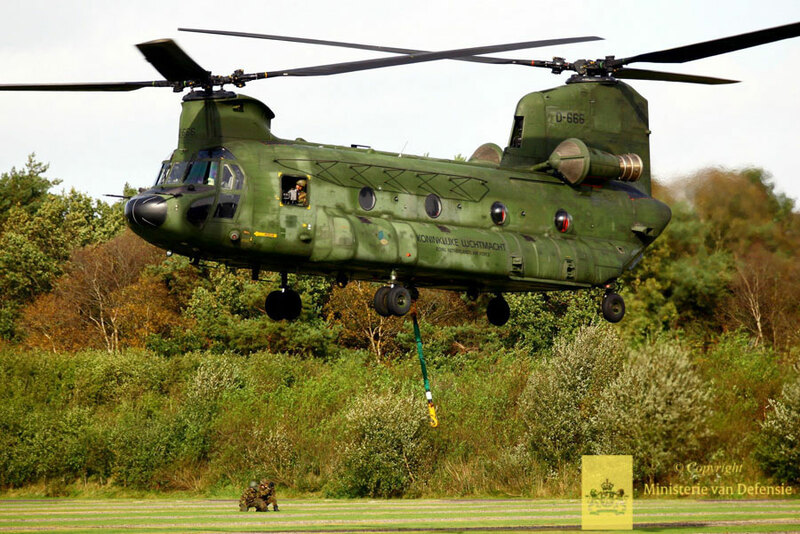 Forward arming and refuelling point (FARP) operations, casualty evacuation (casevac), continuous support to ground troops and quick reaction alert (QRA) missions were performed by forces at his disposal. 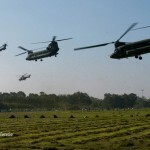 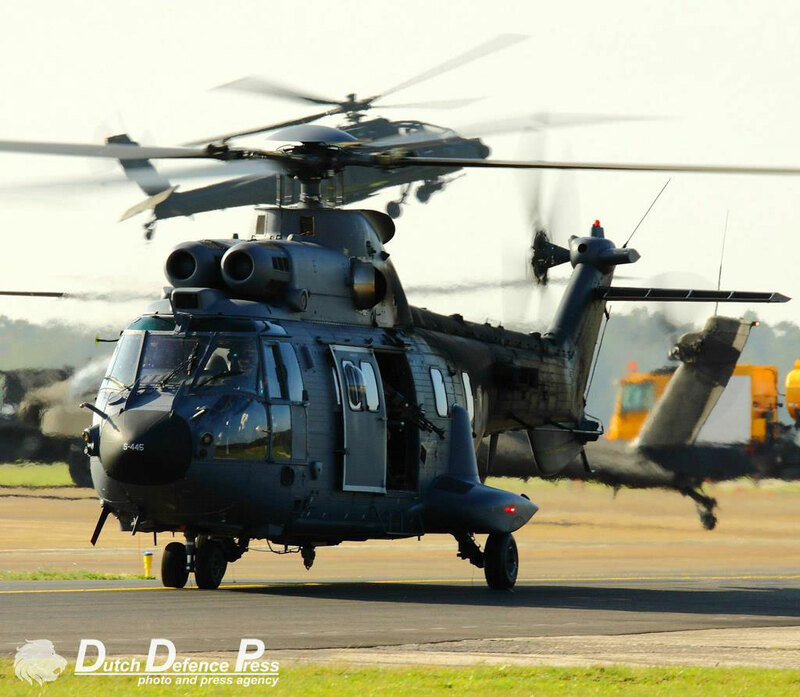 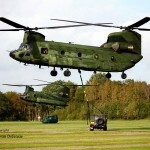 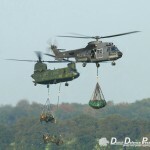 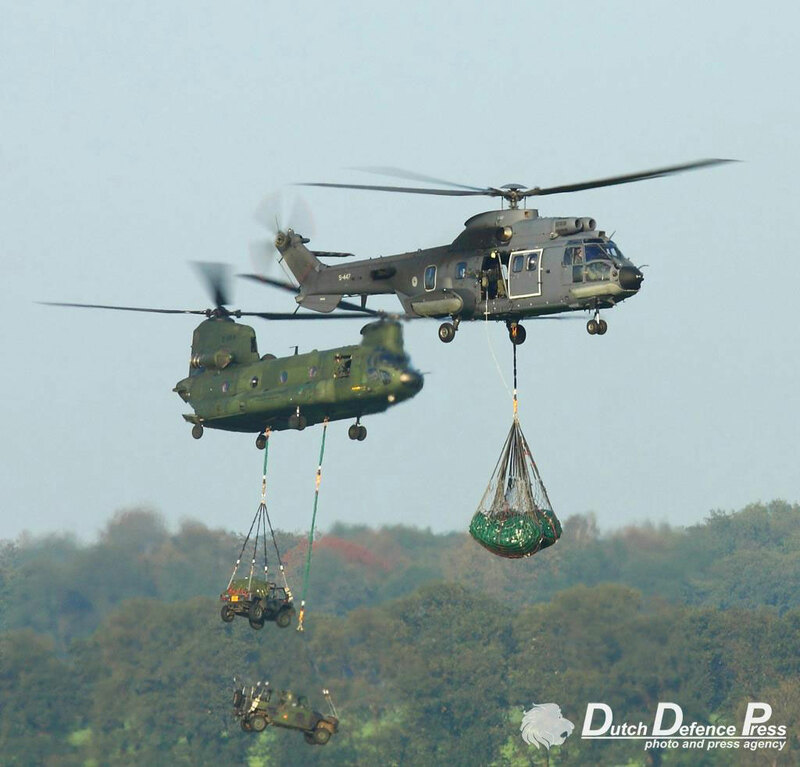 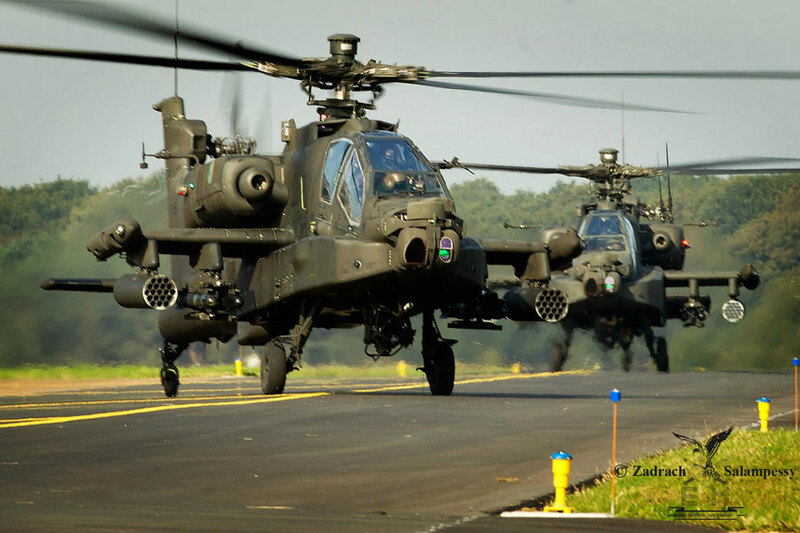 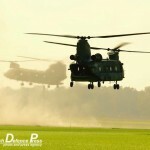 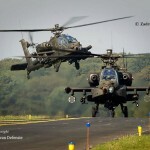 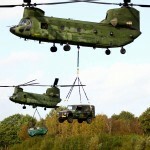 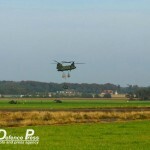 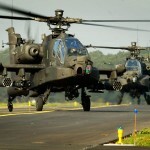 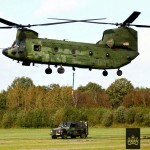 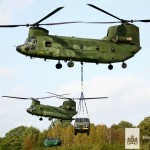 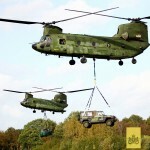 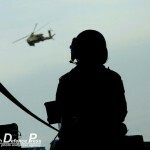 Eight AH-64D Apaches, five CH-47D Chinooks and four AS532U2 Cougars were amongst the assets committed to FA11 by DHC. 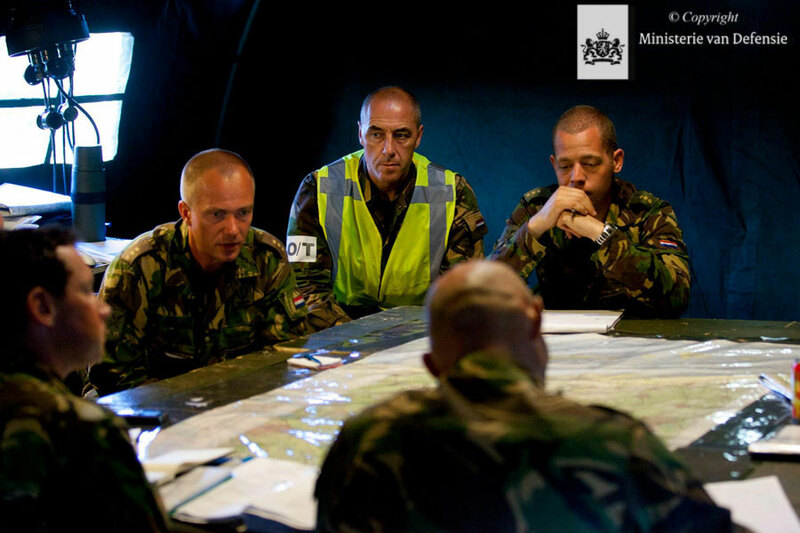 11 AMB achieved full operational capability (FOC) during its previous CREVAL in exercise Gainful Sword in 2003. 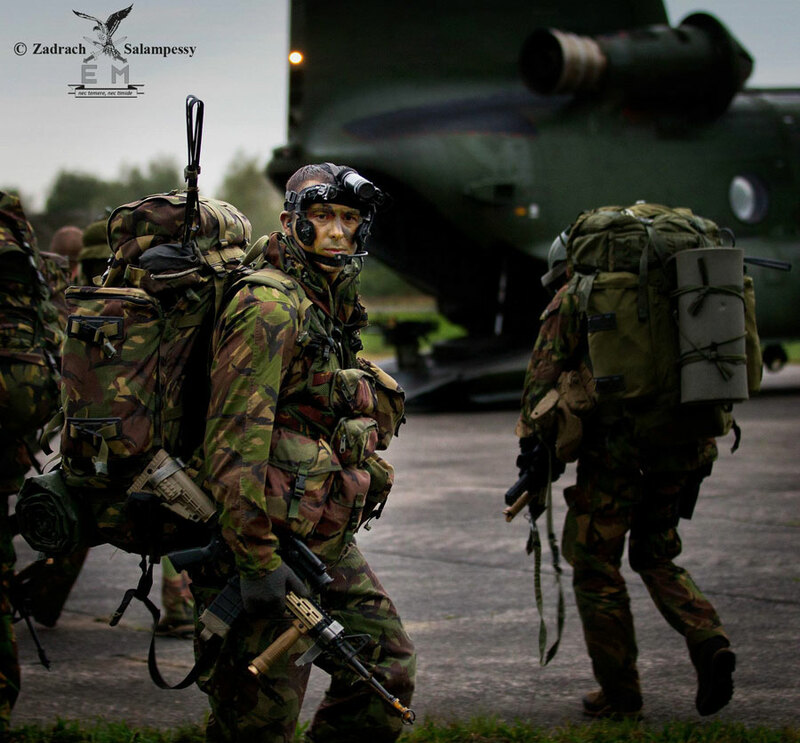 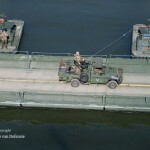 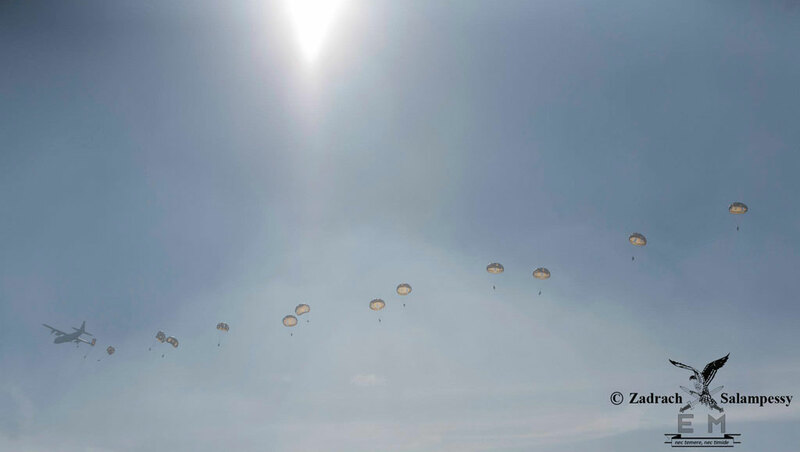 It is a quick reaction initial entry force founded in 1992 and has a ground component (11th Airmobile Brigade (Air Assault)) and an air component (DHC). 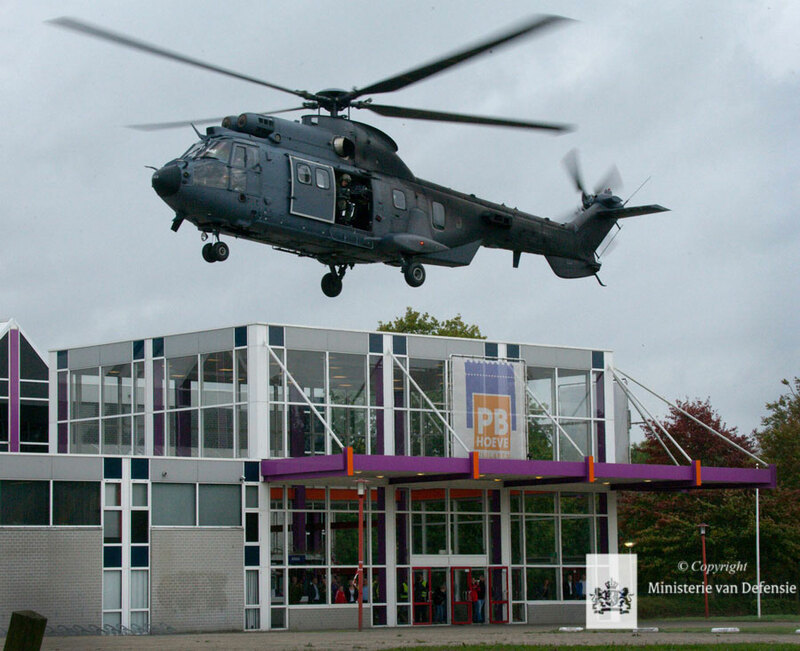 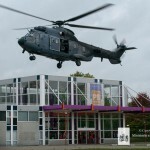 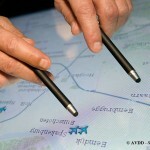 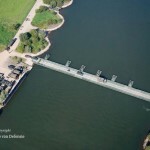 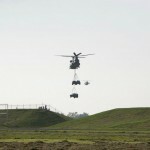 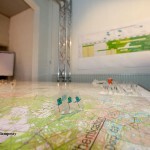 Recent austerity measures by the Dutch government have resulted in the loss of some of its ground assets. 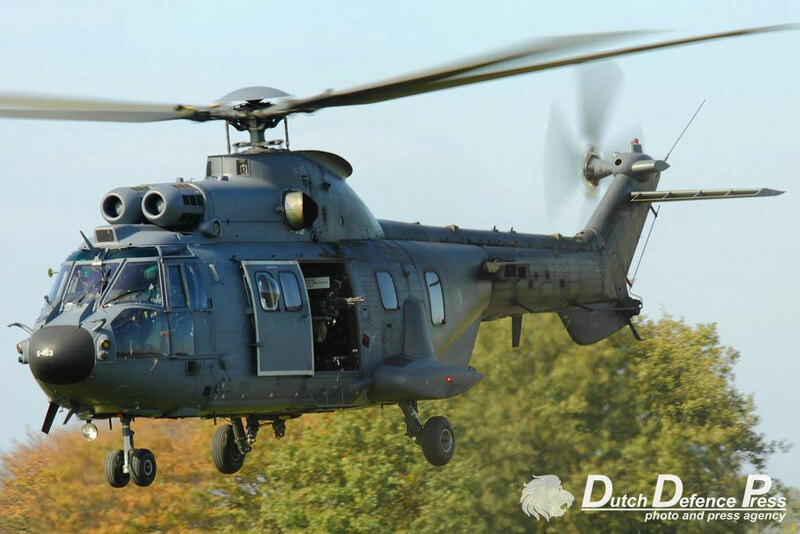 DHC strength was reduced with 9 Cougars now up for sale. 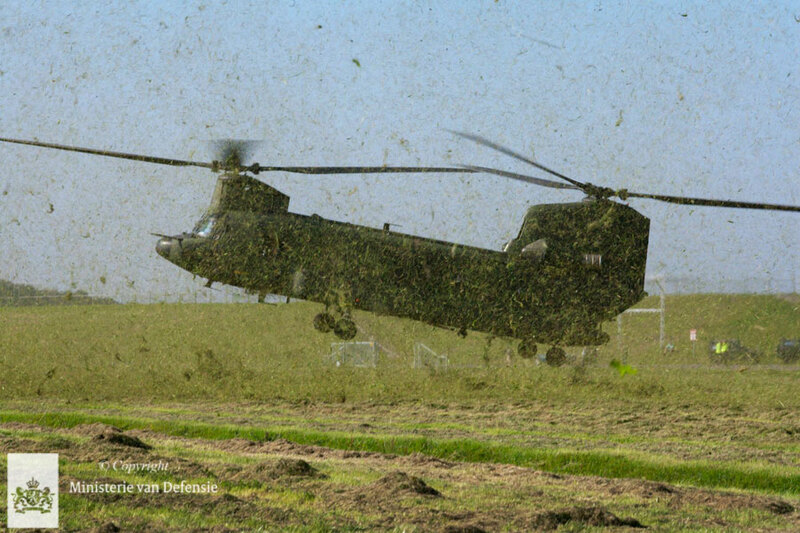 ISAF operations in Afghanistan resulted in the unwanted loss of air assault expertise. 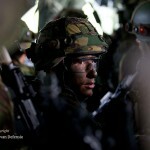 11 AMB brigade staff was in charge of a number of Task Force Uruzgan (TFU) deployments in Regional Command South. 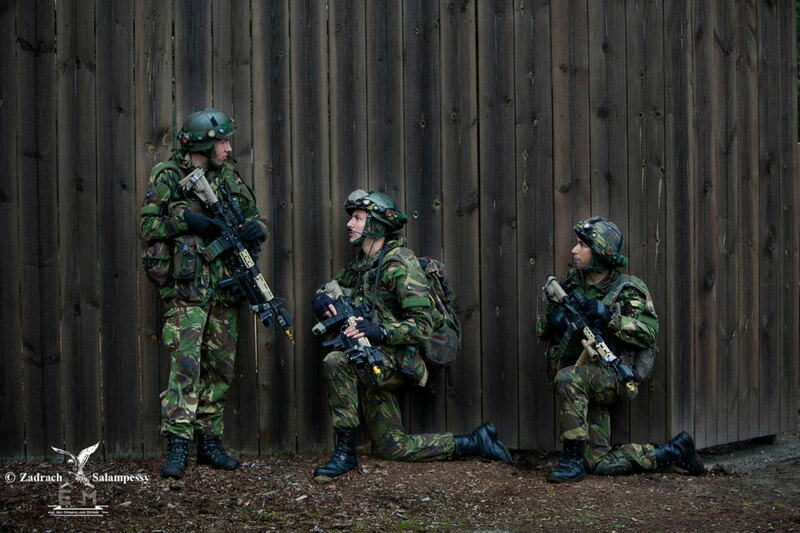 AMB infantry battalions formed the core of numerous TFU Battle Groups (BG) stationed in Tarin Kowt. 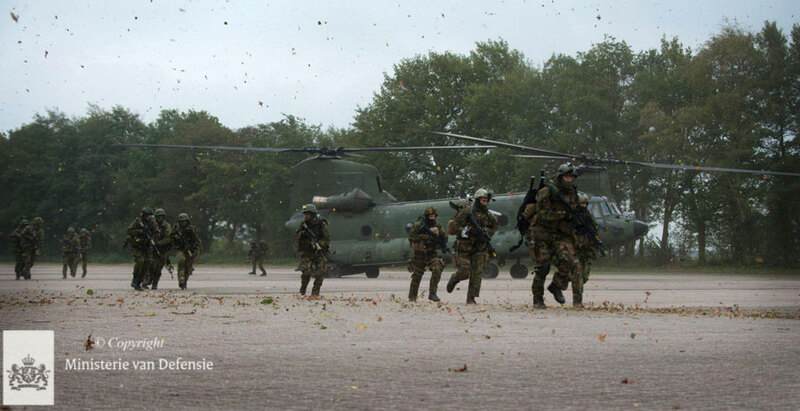 Each BG rotation was outfitted with an air assault company. 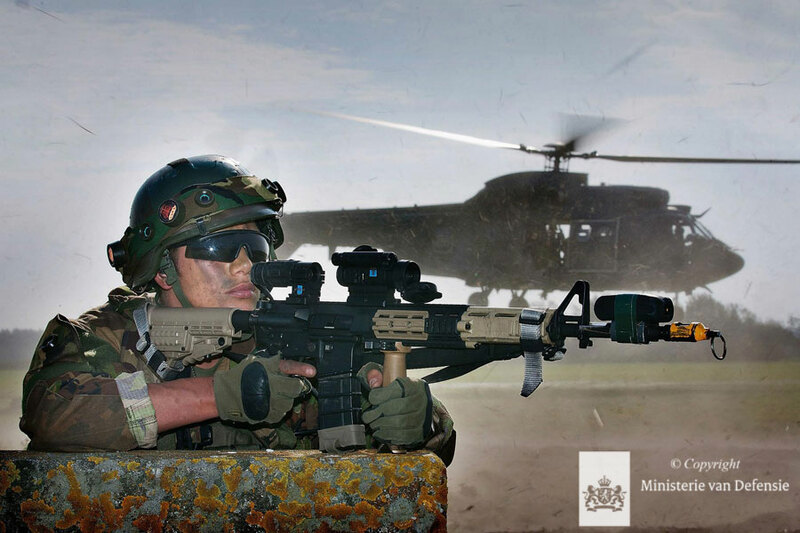 The role of the Netherlands as lead nation in Uruzgan ended late 2010. 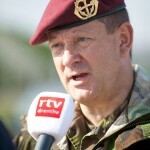 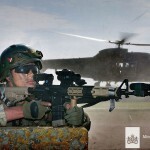 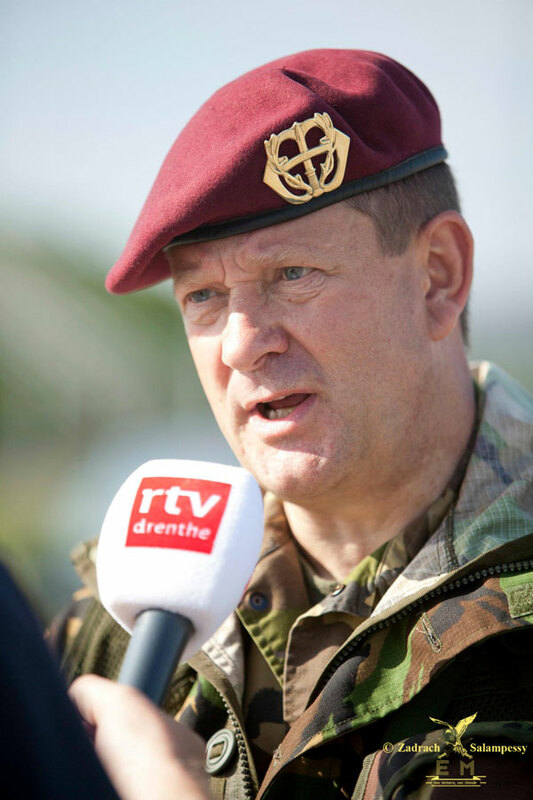 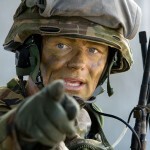 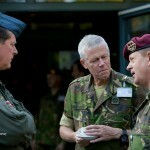 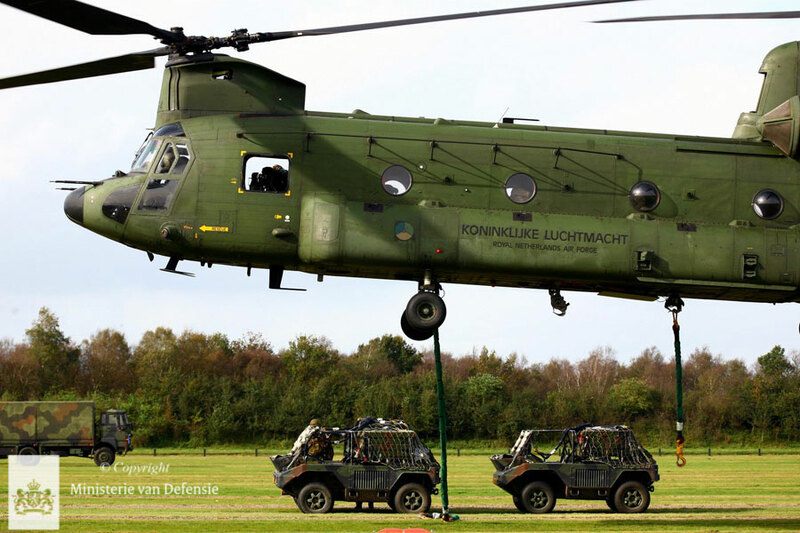 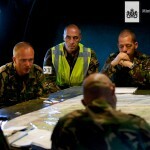 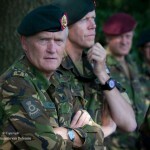 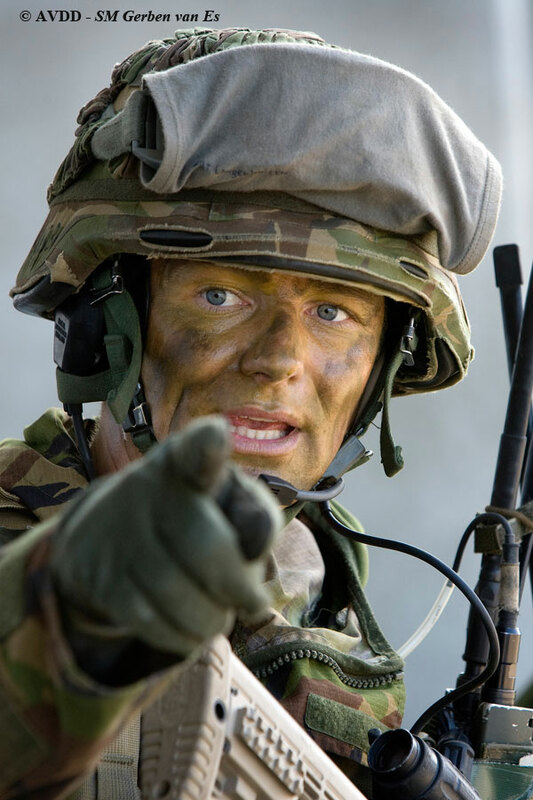 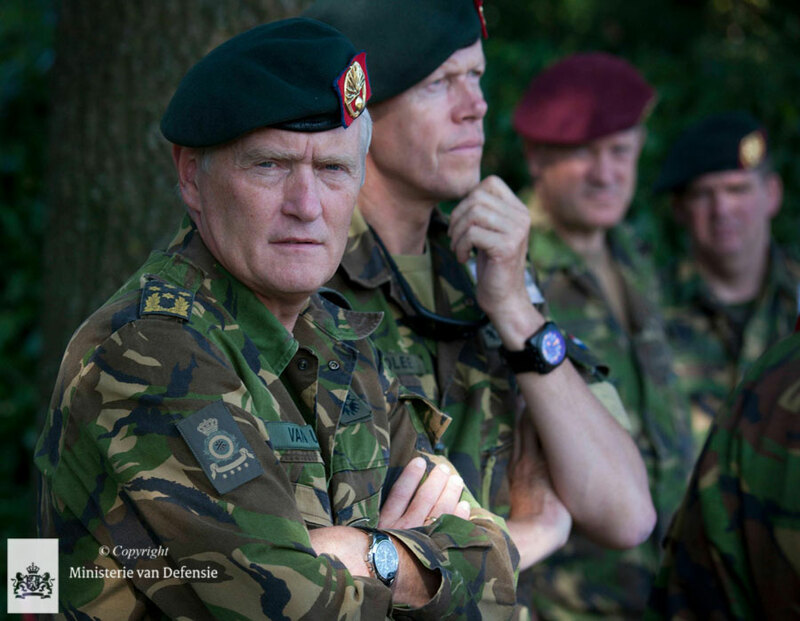 Brigadier-general Otto van Wiggen, current commander of 11 AMB since mid 2010, realised that urgent action was needed to reassert the air assault status of his command. 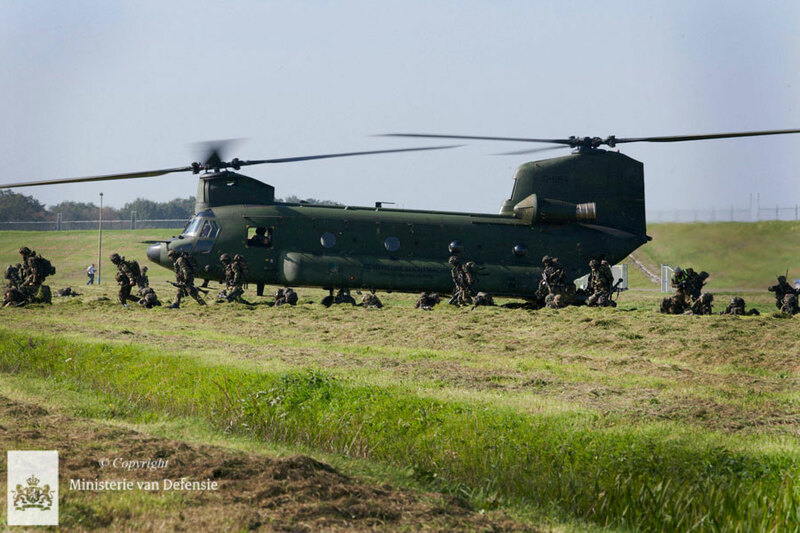 A well balanced training schedule has been executed in recent months to increase air assault and other relevant skills bottom up starting from platoon level. 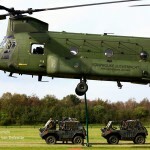 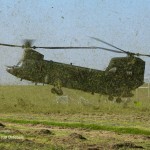 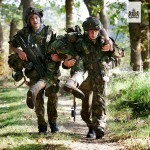 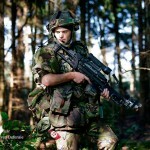 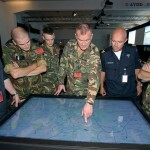 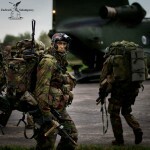 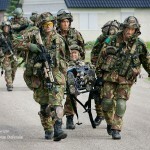 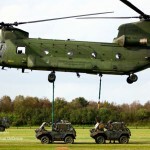 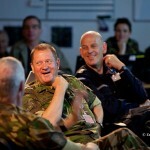 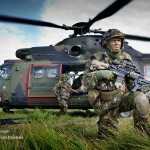 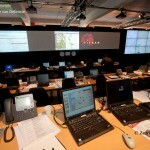 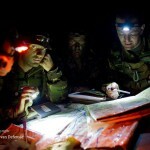 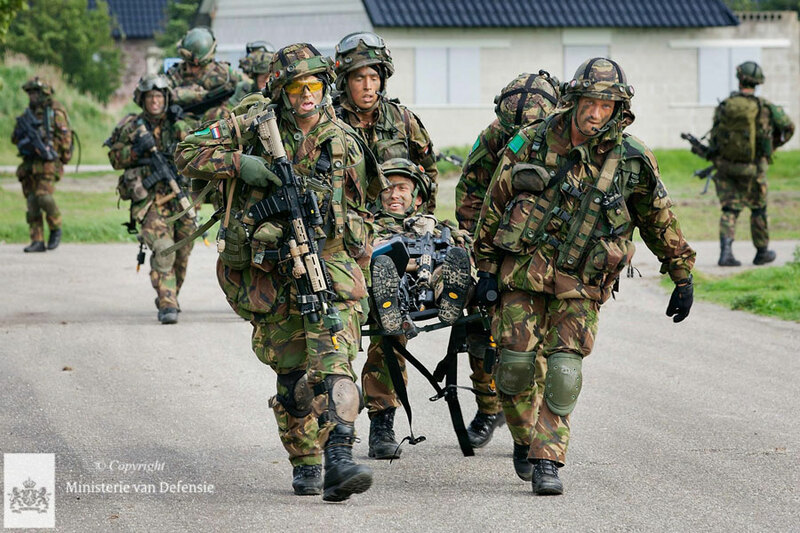 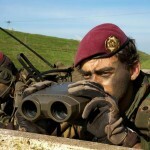 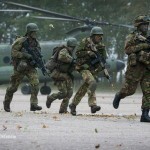 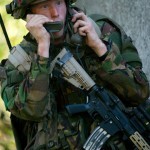 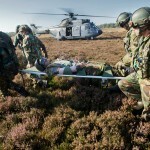 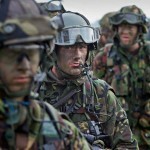 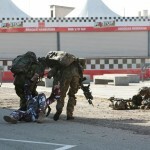 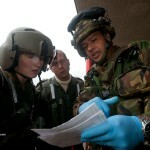 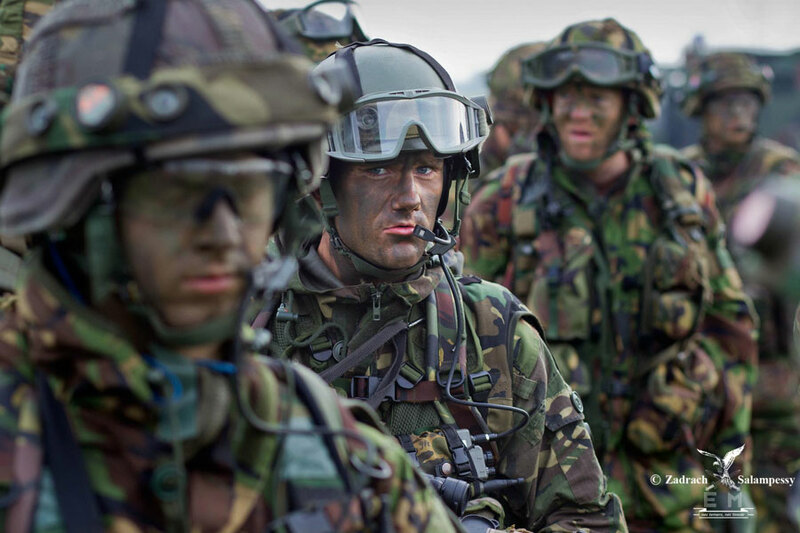 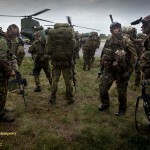 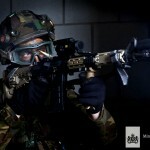 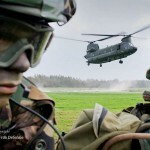 Final objective is next years CREVAL during exercise Peregrine Sword which is to take place in the United Kingdom. 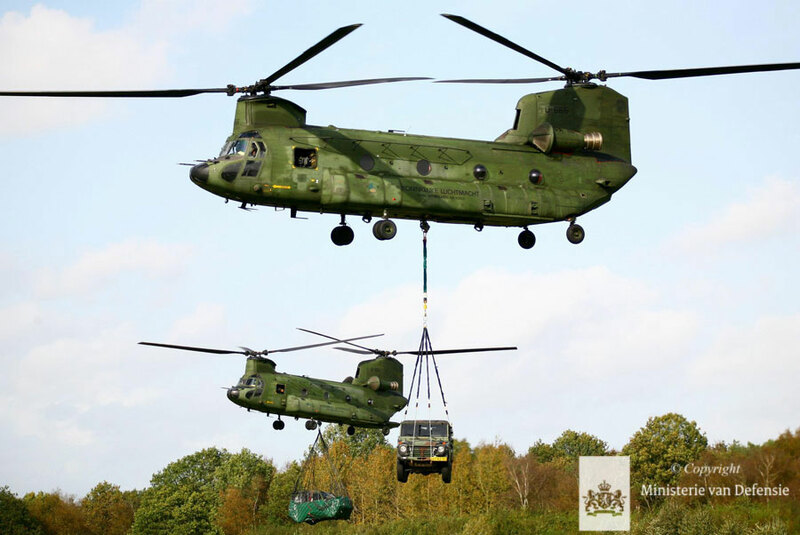 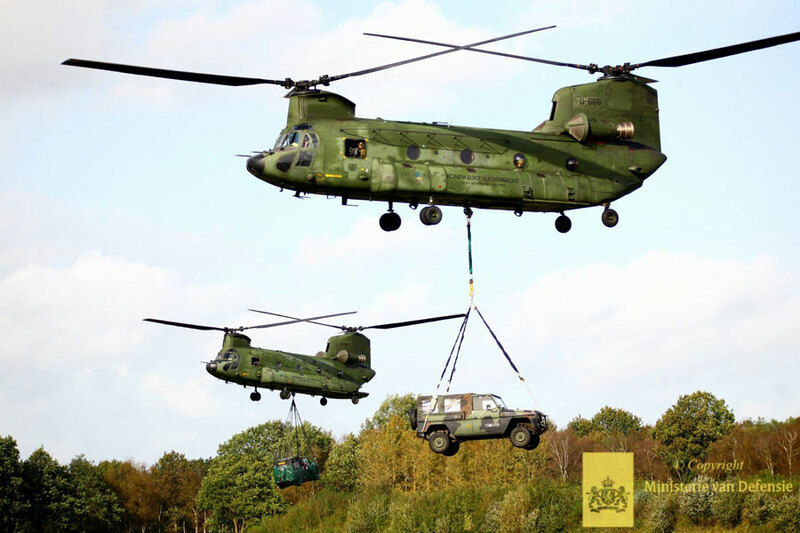 Then, it will be assessed once again whether 11 AMB is able to conduct brigade level operations in the complete air manoeuvre spectrum: airmobile, airmechanized, air assault and airborne operations.